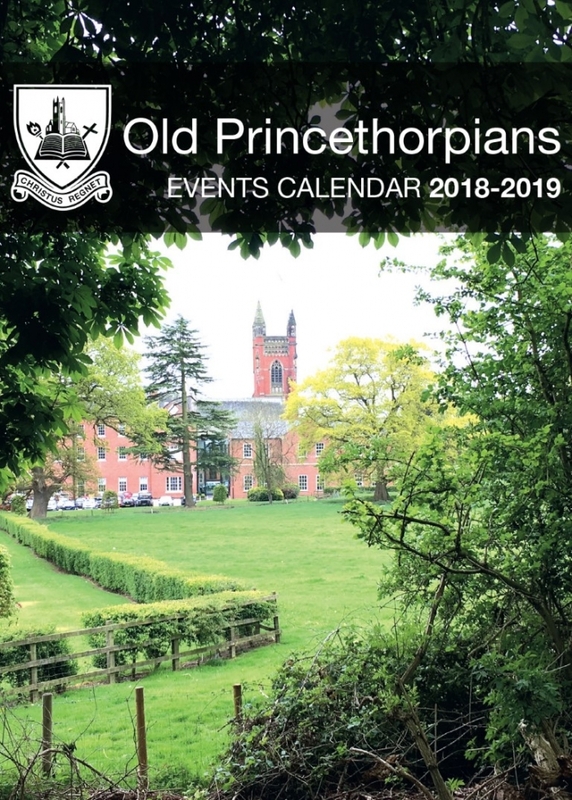 Welcome to the thirtieth issue of The Old Princethorpian, Princethorpe College's termly e-newsletter for past pupils, staff and parents, old and new. Our newsletter aims to keep OPs in touch with each other and news, developments and events at the College. 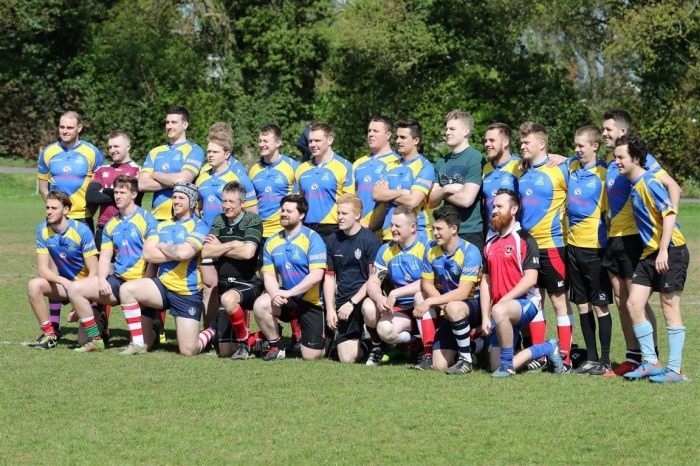 If you have any comments on the e-newsletter or news to contribute to the next issue, which is due out in mid May, please email us at oldprincethorpians@princethorpe.co.uk. 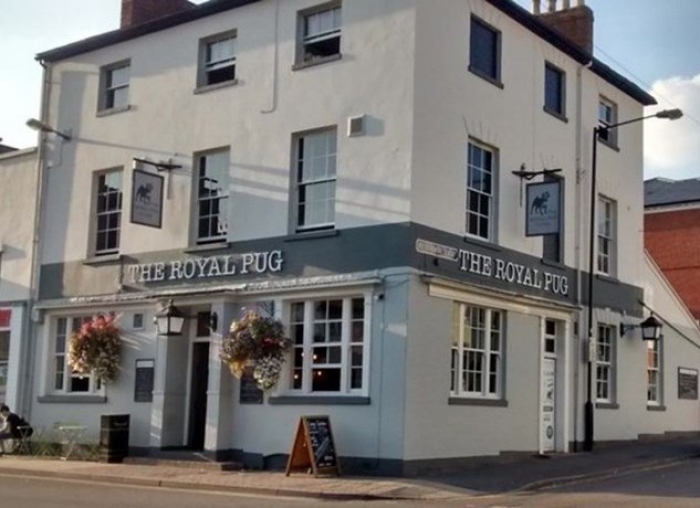 Coming up soon is our always popular Leamington Pub Meet followed closely by the College's new Spring Open Afternoon. 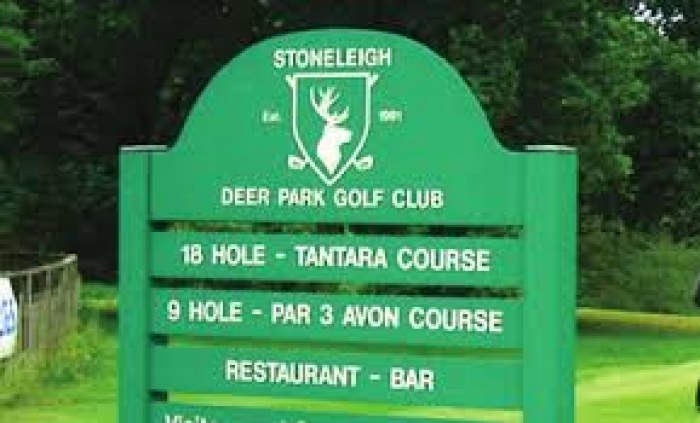 Then in April there is the much anticipated return of the Princethorpe Open. Please see the Events section for more details on all our events. 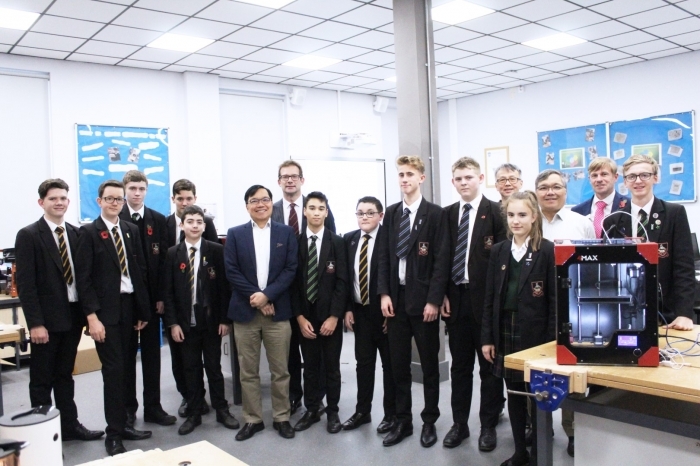 Nearly fifty years on from when they boarded at the College, Professors Paul and Peter Cheung returned to Princethorpe to take 11 lucky GCSE Design Technology pupils on an amazing hands-on journey into the technological advanced world of 3D printing. The twin brothers visited Princethorpe on Friday 9 to Saturday 10 November, to share their exceptional, engineering expertise. Both are now professors at the University of Hong Kong and Imperial College London respectively and they generously donated their time, and the printer technology, as a thank you for the opportunities, inspiration and support the College had provided them. 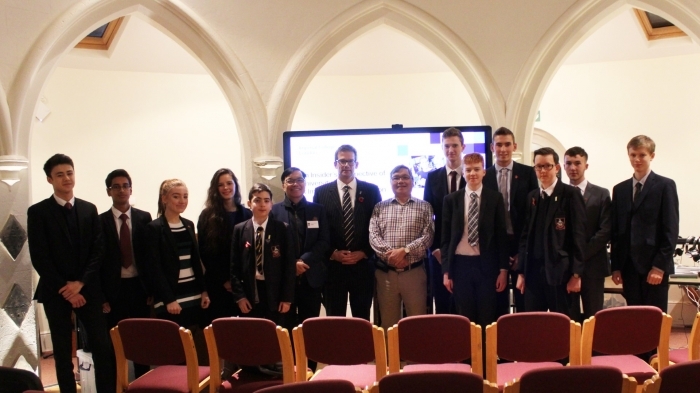 On the Friday afternoon Professor Peter Cheung gave a compelling presentation to pupils interested in a career in engineering. He explained how engineers solve problems, the innovative opportunities his university students get involved in and the facilities Imperial has to offer. He described time at University as ‘enabling’ and gave examples of where engineering careers could take you before finishing with the challenges engineers will face in the future. On the Saturday Professor Paul Cheung hosted a full day workshop for 11 invited GCSE Design Technology pupils. Helped by his brother Peter, cousin Patrick, and Head of Design Technology, Paul Scopes, the 11 pupils spent the day building three 3D printers completely from scratch. After an initial briefing the pupils quickly got to work and the big build began. Over the course of the day the new printers took shape, progress was swift, the pupils focussed and engaged and by mid-afternoon, incredibly, and thanks to a determined and tenacious effort, the first machine was already printing. Pupils, parents and staff watched in amazement as the machine printed a perfect pair of miniature owls. What was only recently an out of reach, expensive, industrial technique has, over the past few years, developed into accessible, new technology. 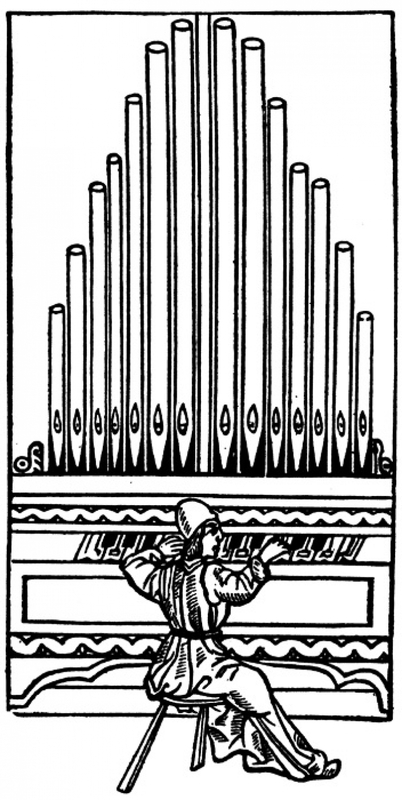 Today anyone can print musical instruments, household items and, with easily available open source programmes, pretty much anything you can think of. The new 3D printers are an amazing technological addition to Princethorpe’s Design Technology workshops that will develop new design skills and inspire the next generation of engineers. Whilst visiting the school the brothers were also able to meet the former Director of Boarding, Fr Teddy O'Brien MSC. At the end of the workshop Headmaster, Ed Hester, thanked Paul and Peter Cheung for their hugely generous donation and presented them and their cousin Patrick, who now lives locally, with a token gift, a much sought after, Old Princethorpians scarf. A time lapse of the amazing day can be found here. 2018 proved to be another exceptional year for the College – full of achievement, progress and success on so many levels. 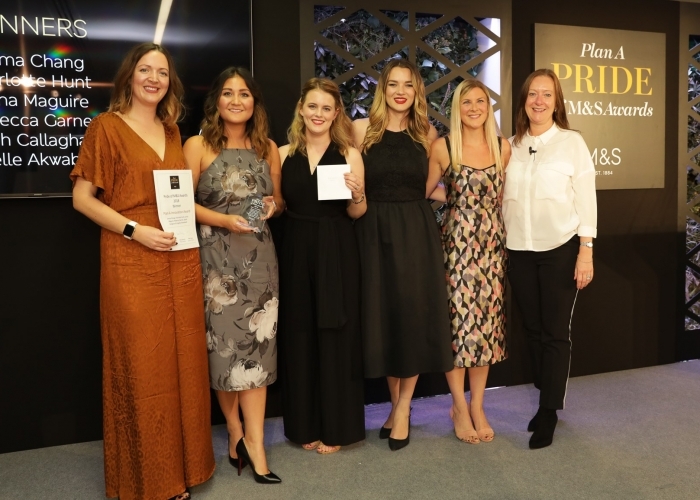 What better way to celebrate than at the annual Prize Giving Ceremony on Friday 16 November when Princethorpe was delighted to welcome pupils, parents, staff and Old Princethorpians to a wonderful new venue, the IXL Events Centre at Dallas Burston Polo Club. Before the ceremony the Old Princethorpians Committee hosted a special drinks reception for the returning Upper Sixth, their parents and VIP guests, providing a welcome opportunity for the class of 2018 to get together and catch up on their news since the summer. The evening began with a screening of the College’s new film Princethorpe College – What’s It All About, before Chair of Trustees, Mrs Liz Griffin, officially opened the proceedings, warmly welcoming parents, friends of the College and Princethorpians old and new to the special occasion. In his formal address the Headmaster, Ed Hester, gave thanks to the Princethorpe family who make Princethorpe the special place it is - the staff, the pupils, the parents and the wider Old Princethorpian community. He talked about the many special and amazing people who are a part of that community, reflecting especially on the support and guidance of the late Mrs Mary O’Farrell. His warm words paid tribute to all that she had done in support of the College and he announced that a new prize would be awarded in her memory. Mr Hester congratulated last year’s Year 11 and Upper Sixth on their exceptional examination results and reflected that the results were the best in the College’s history. 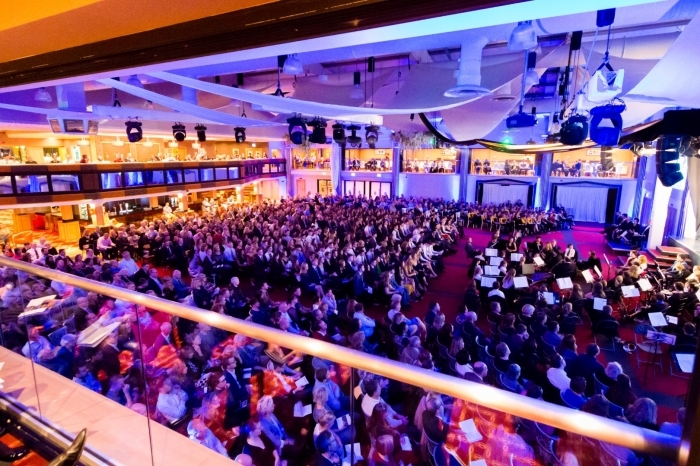 The atmosphere throughout the evening was joyful and celebratory and there were superb musical interludes from the Year 7 Chorus, College Orchestra and College Jazz Band. At the ceremony Mr Hester presented GCSE and A-level Examination Certificates and then a myriad of well-deserved trophies, cups and shields. Watching the stream of young people coming across the stage and shaking Mr Hester’s hand was truly inspiring and humbling. The talent in evidence, the grit and determination, the passion, enthusiasm and commitment were all applauded and honoured. Some of the young people took to the stage with confidence, others more self-consciously, some made us laugh, and some brought a tear to our eye as we listened to, Head of Sixth Form, Ben Collie’s citations. The College was especially honoured to welcome on stage John O’Farrell to poignantly present the Mary O’Farrell Prize to Upper Sixth leaver, Daniel Dziurzynski. 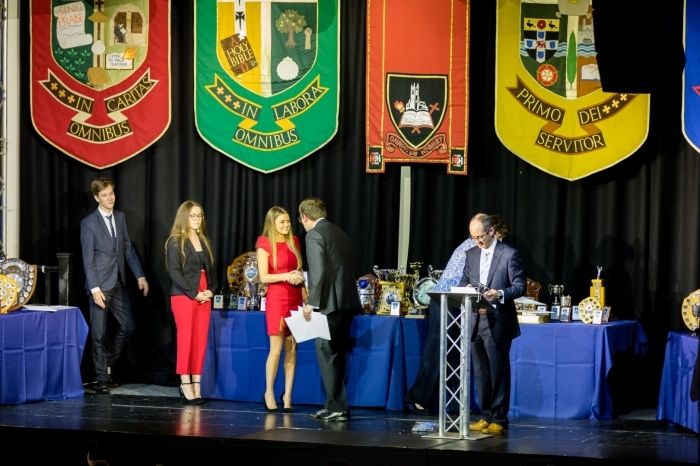 And then it was time for the recipient of the final award, the Princethorpe Shield, the College’s oldest and most prestigious award to be revealed. The Shield is presented annually to the student who is seen to embody the spirit and ethos of the College in many facets of their school life. 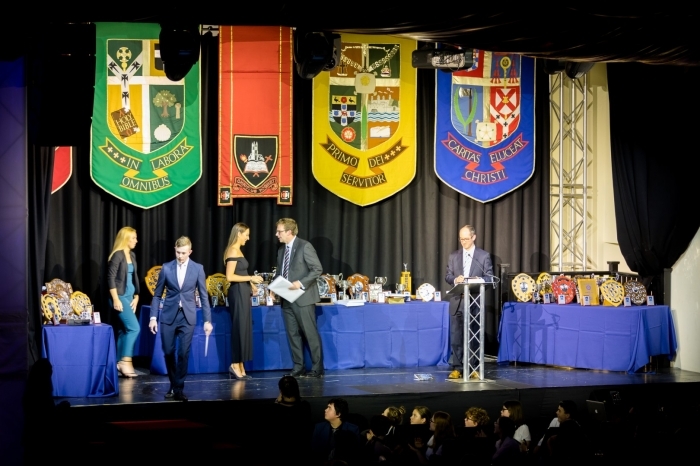 It was a very popular decision, as to resounding applause former Head Girl, Miriam Isaacs, was welcomed back to the stage to receive the Shield. To close the proceedings Head Girl, Elizabeth Carr, and Head Boy, Tom Warne, gave an eloquent vote of thanks, before the evening finally came to an inspiring end with fervent singing of the College Hymn, ‘Here I Am Lord’ by the assembled throng. For some, A-level Results Day ‘98 would be the last time we would see one and other. Results Day being such a ‘happy’ occasion – it was agreed that we should mark the 20 years gone in ‘a blink of an eye’ with a reunion. A WhatsApp group was formed followed by a Facebook page to get the conversation started. We managed to ensure that over 80 students from the year group of ’91 – ’98 knew of the event. 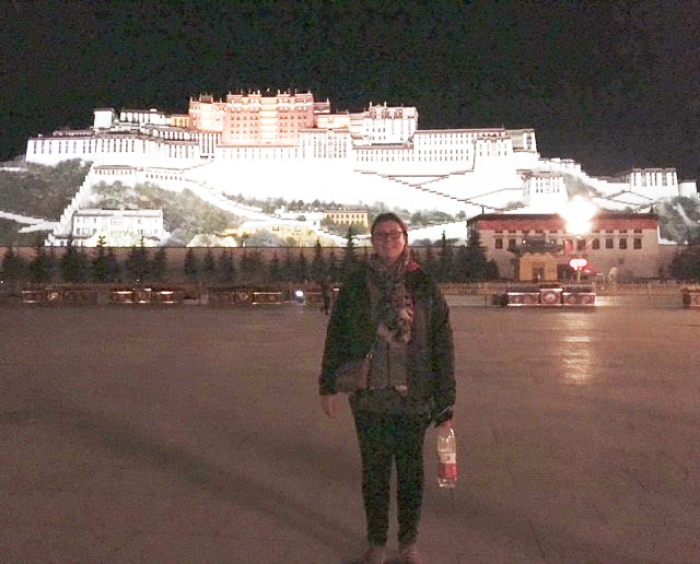 Naturally, many now live overseas or could not make it that night for one reason or another – but all very much wished they could have. 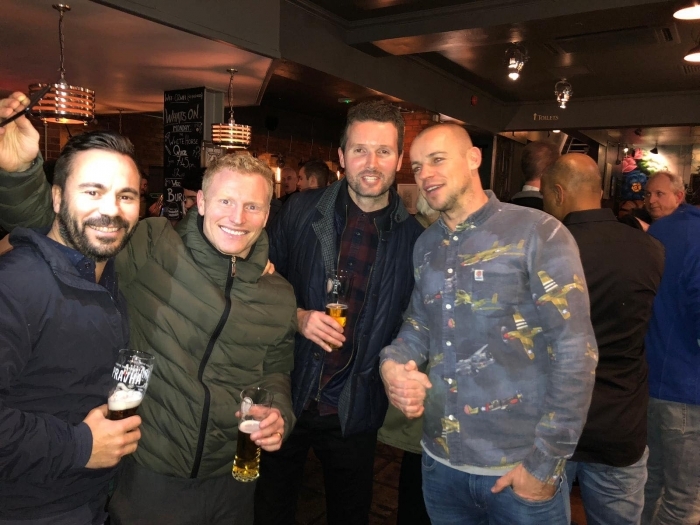 We met up at the White Horse in Leamington on the 24 November 2018. It took no time at all for us to pick up from where we had last left off 20 years prior and the Old Princethorpians' Association kindly put some money behind the bar for us all to have a drink. Instead of moving on to other bars, as intended, we were good where we were – until being moved on to Altoria for a few more into the early hours. It really was a great night with old friends with so many shared memories. I’m sure the next one will be as good - if not better with even more old friends. 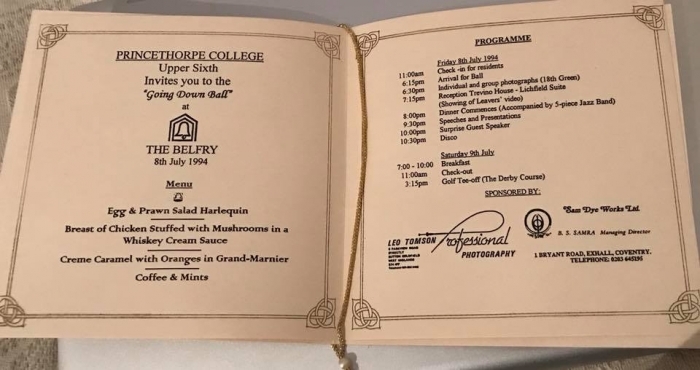 Whilst it doesn’t feel anywhere near that long, according to the calendar this year it will be 25 years since the class of 1994 finished Sixth Form at Princethorpe College and went off into the big wide world. This seems a good opportunity to arrange a reunion event for classmates to catch up and reminisce about how much has changed (fair to say that the College has changed a little since “our day”). 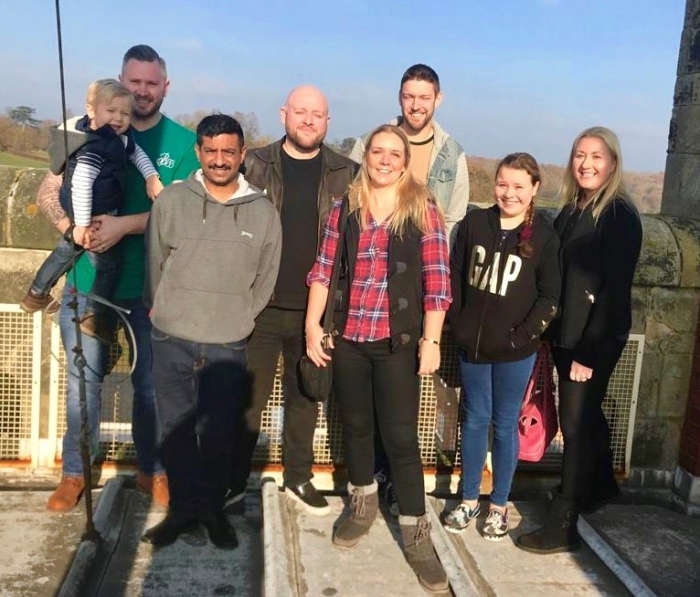 A Facebook group has been set up to provide an opportunity to re-connect and to share ideas and plans for the reunion event being planned for later in the year. For any ’94 OP’s who don’t use Facebook, please contact oldprincethorpians@princethorpe.co.uk to be connected to the reunion organisers for further information about plans as they become available. 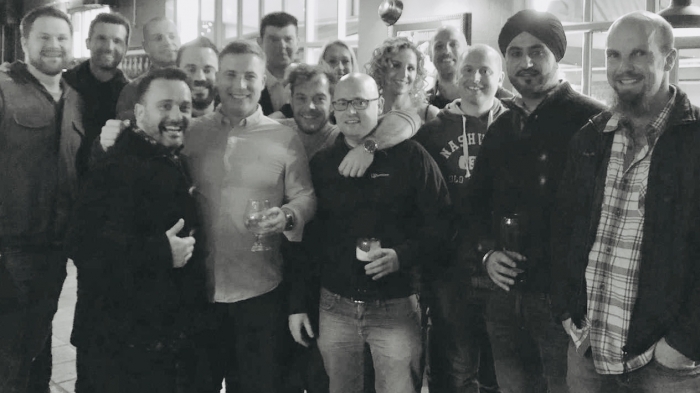 Following its successful launch last summer, we are looking to get more OP Friendly Faces on board to widen the support network of OPs in universities across the country for the leavers of 2019. 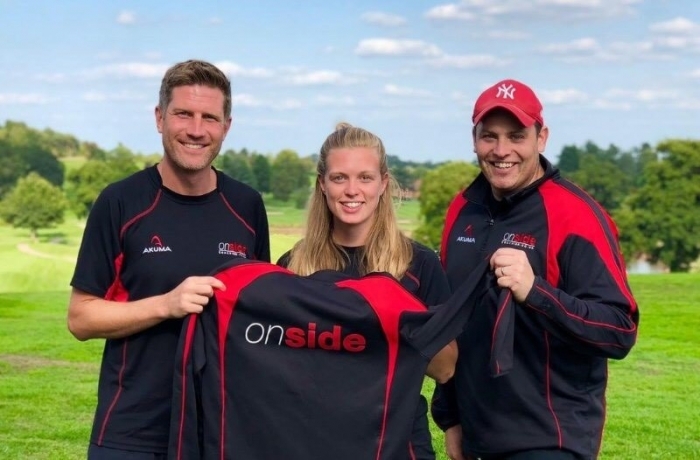 OP Friendly Faces aims to link past pupils established at university with first year OP students. 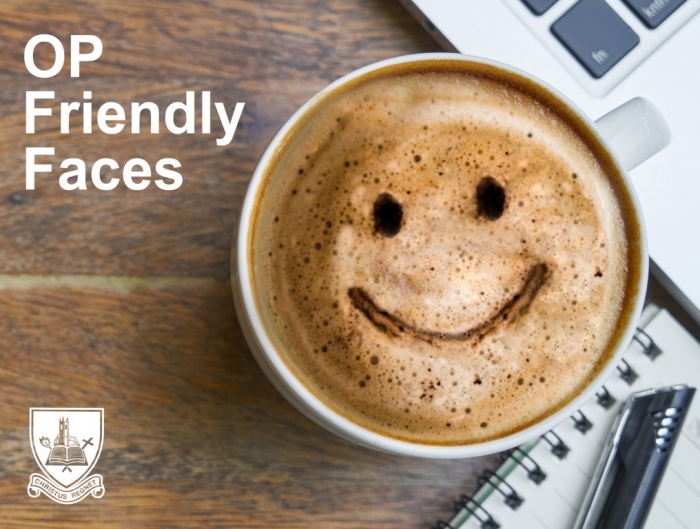 Providing a friendly, familiar face to meet up with over a coffee (compliments of the OPs) or having someone to call in their new uni town or city, does, we know, make for a smoother experience in those first few weeks away from home. Many of our current Upper Sixth are receiving offers and will shortly be choosing their first and second choice destinations, so it would be good to know soon who is willing to give them on the ground advice and tips. We are hoping that many of those who were helped last year will be prepared to be a Friendly Face this year, and that many of those already signed up to help will also be prepared to continue. 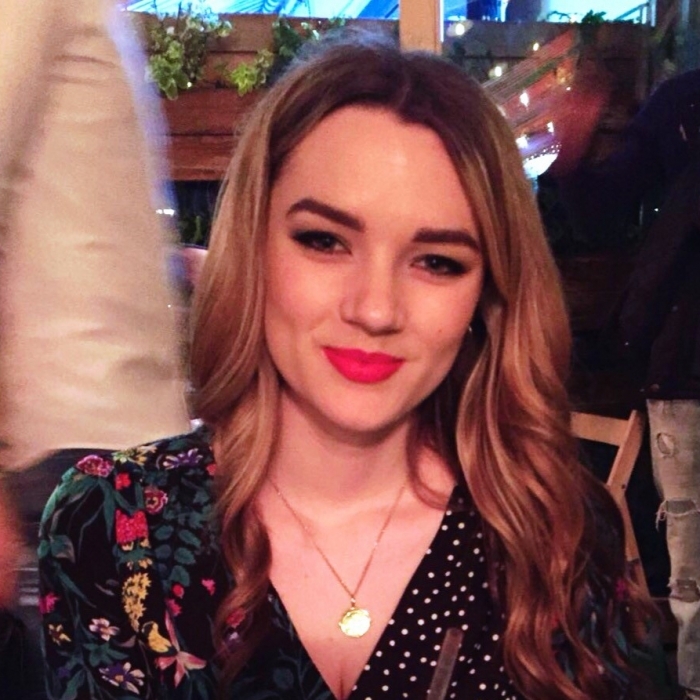 Grace Blackhall, who is in her first year at UEA studying Physiotherapy and benefited from the initiative is keen to take up the challenge, she comments, "I look forward to hopefully becoming an OP friendly face to whomever choses my university and being there for them when they need it." 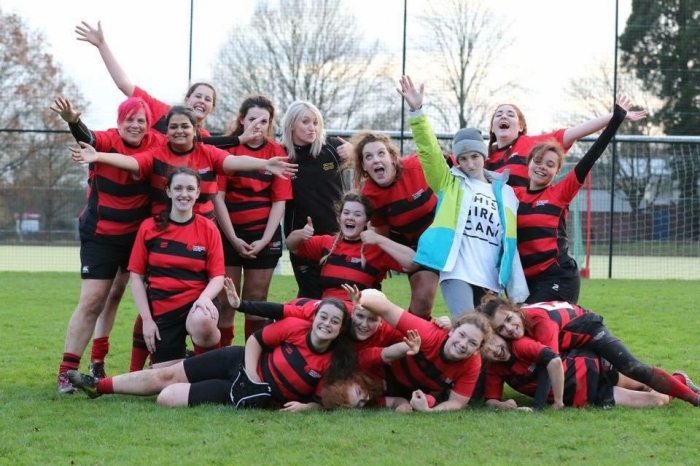 Comments OPs Secretary, Melanie Butler, " We have OP Friendly Faces in around 30 university towns and cities and would like to expand on that significantly this year and get more of our leavers matched up for the new academic year." 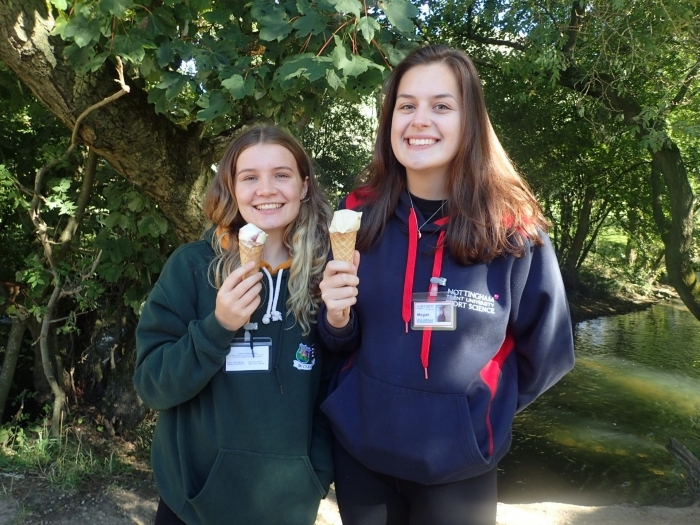 If you are interested in becoming an OP Friendly Faces for this year's Upper Sixth leavers please email oldprincethorpians@princethorpe.co.uk. Update From The Archives - New Online Archive Coming Soon! 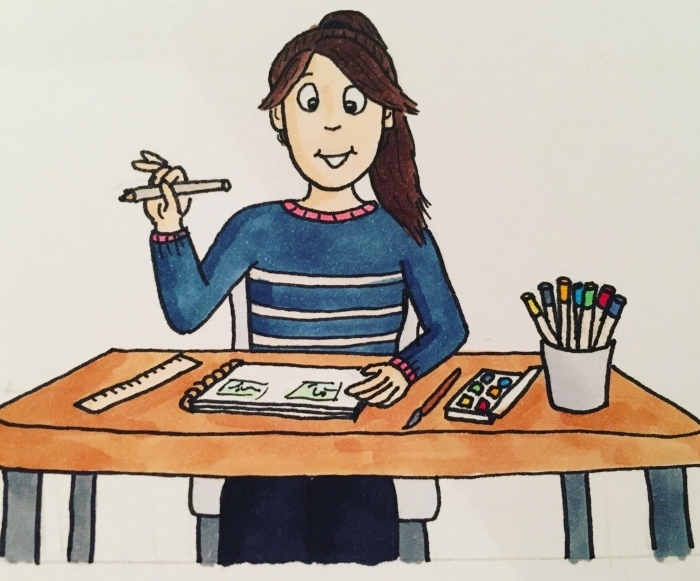 Cataloguing, cataloguing and then some more cataloguing has been a huge focus for the last term and I am really pleased to be able to share how the progress has gone. The Crescent School collection is now fully catalogued, including the 193 albums containing more that 19,000 photographs that had to be downloaded from Flickr, a photo sharing website, when they suddenly changed their terms and conditions at the end of Michaelmas Term! The St Mary’s and St Joseph’s collections have also been carefully checked and any recently donated items added to the catalogue. There is still some way to go before we have everything that is in the archives fully catalogued but we now have over 5,700 individual descriptions within our catalogue, an increase of 25% within the last 18 months. All that talk of cataloguing leads nicely on to the exciting news that a new online archive catalogue is coming soon to archives.princethorpe.co.uk. Epexio, the company that created the catalogue, have done a superb job at creating a clear, easy to use site that works really well. As well as being able to search by individual school using the ‘Browse Collections’ section of the system, there is also an exciting ‘Digital Materials’ area where all the past newsletters and drama programmes that have been digitised are available to view. There is no need to register to use it, just make sure that you have a cup of tea and a few hours to spare before you start looking. 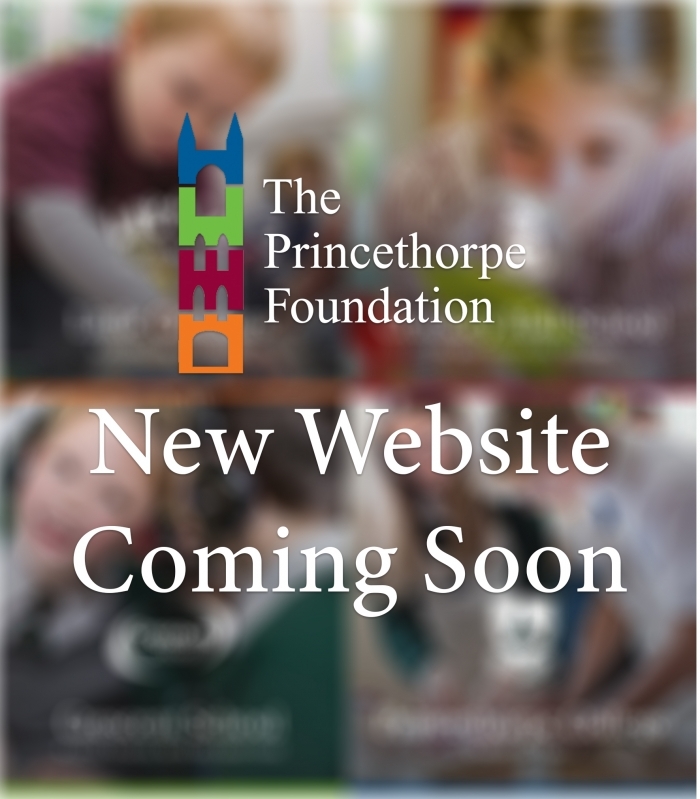 On the Princethorpe part of the site there will be a bespoke Old Princethorpians page. We are currently looking for OPs from across the generations to feature on the page, so if you are interested in supplying us with a photo and a short biography please get in touch with Old Princethorpians as soon as possible. The project has been carried out in partnership with website company, e4education. 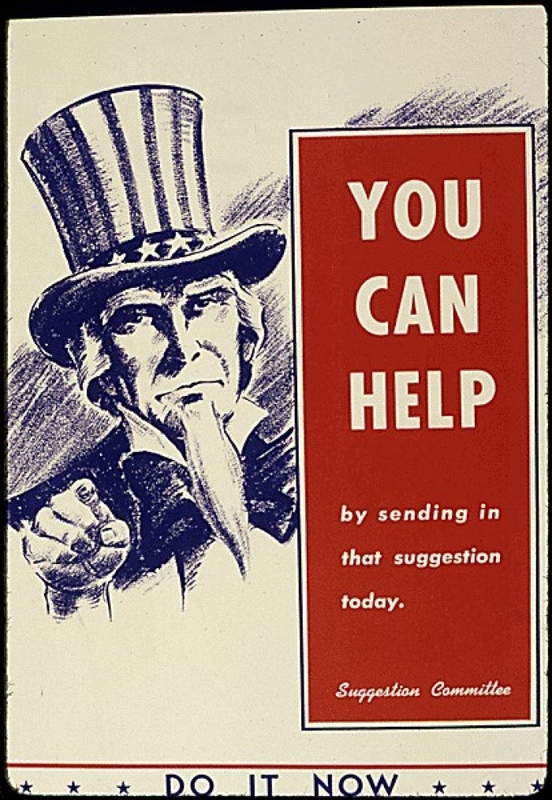 Not least, the administrative side of Toucan Tech, will make life so much easier for our Development and OP Team. 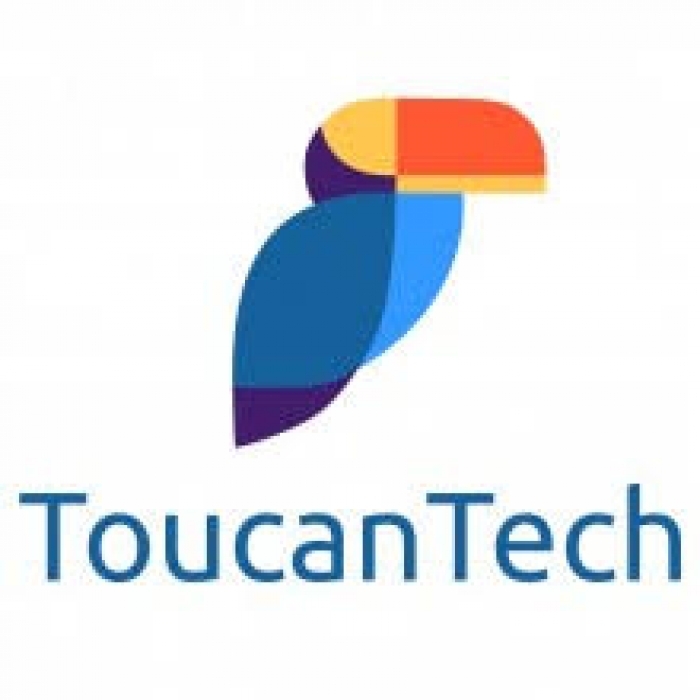 As Toucan Tech themselves might say, ‘beautiful design – software with a smile’! 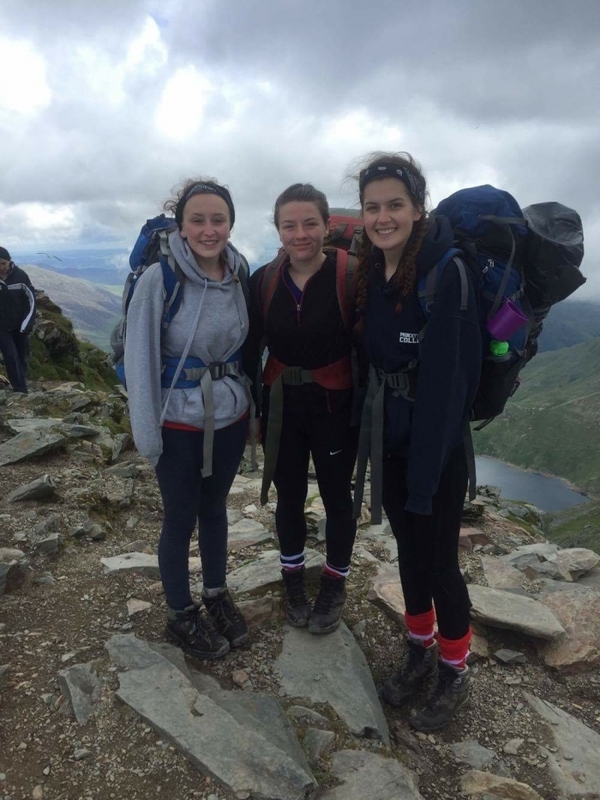 Recent leavers are reminded that they still have the chance to complete their Duke of Edinburgh Awards. Students will have invested significant time on the physical, skill and volunteering sections and shown strength and perseverance in completing their expeditions. Often it is just a matter of completing the paperwork or for the Gold Award undertaking the extra element, the residential. Head of Outdoor Education, Will Bower has prepared a handy guide for completing your edofe submission attached here. 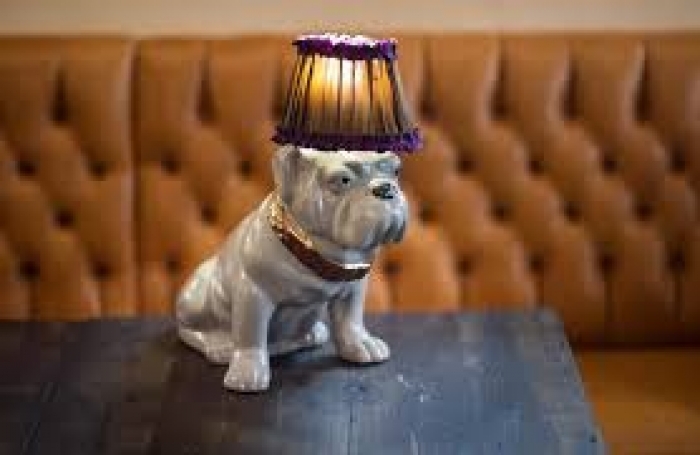 If you have questions or need any further help then please email willbower@princethorpe.co.uk. We encourage you to take the time to finish your Award and finalise your submissions, the Duke of Edinburgh Awards are well recognised and will always be an achievement you can be proud of. 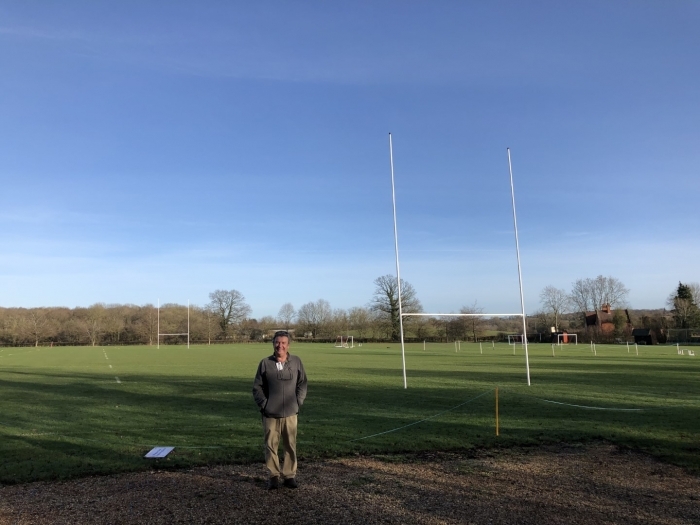 Past pupils, parents, staff and friends of the Foundation, along with current parents are all cordially invited to attend Princethorpe - A Vision For The Future, a presentation by Ed Hester, Head of the Foundation on Thursday 14 March at 7.30pm in the College's Clarkson Theatre. 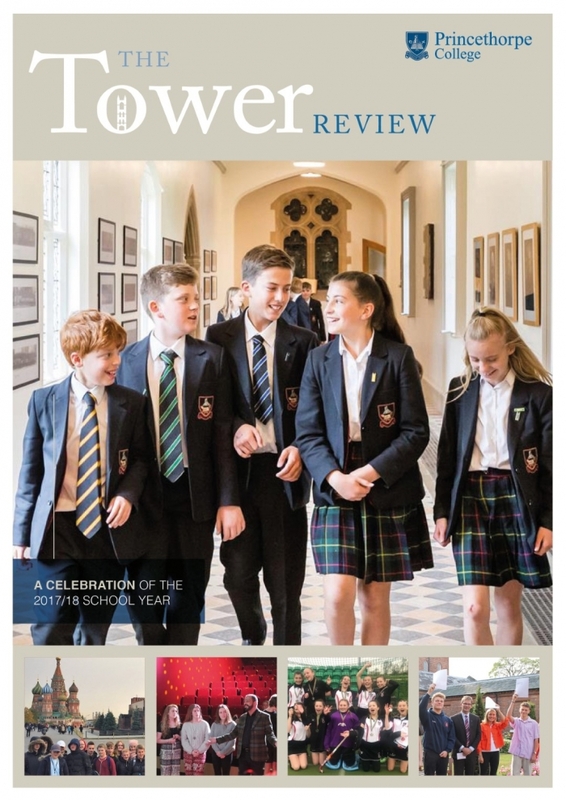 Many of you will remember that The Tower used to be the College’s magazine which provided termly updates on life at school, before the advent of our fortnightly e-newsletter The Flagpole. 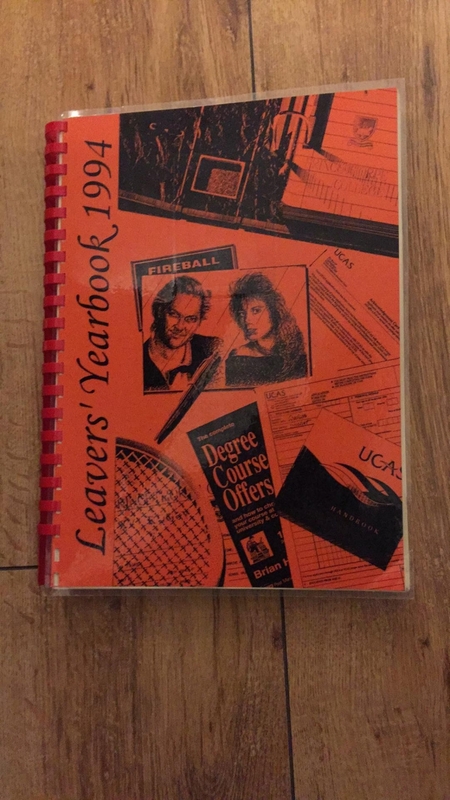 A mainstay of the archives, much enjoyed by pupils and parents, past and present, the College has decided to dust off its much loved magazine and give it a new lease of life, this time as an annual souvenir review. Charting the College’s year in words and pictures this new publication will celebrate the pupils and ethos that together make Princethorpe such a very special place. 2017-2018 had a lot to live up to following on from the glorious celebrations of the Golden Jubilee year. It had its own challenges, with some of the heaviest snowfall in a long while but there were many wonderful and memorable moments and plenty of achievements and rewards to record. The Tower Review will be published shortly. Copies will be distributed to current pupils and sent to the class of 2018. An electronic copy will be included in the next edition of the Old Princethorpian newsletter. If you would like to receive a hard copy of the publication please email oldprincethorpian@princethorpe.co.uk with your name and address. French Cycling Pilgrimage #2 Over May Half Term 2019 – Few Spaces Remain! Following the great success of the Golden Jubilee Cycling Pilgrimage in May 2017, plans are now firmly afoot for a second French Cycling Pilgrimage during May Half Term, from Saturday 25 May to Wednesday 29 May. Several Old Princethorpians have already signed up for the trip, alongside current parents and members of staff. Led by the Headmaster, Ed Hester, the pilgrimage will return to the beautiful Loire Valley. The 100-mile route will wend its way from Saumur to Amboise via Azay le Rideau and Chinon, taking in some wonderful countryside, stunning chateaux and vineyards. Once again the pilgrims will be raising money for Mary’s Meals, a charity close to the College’s heart. 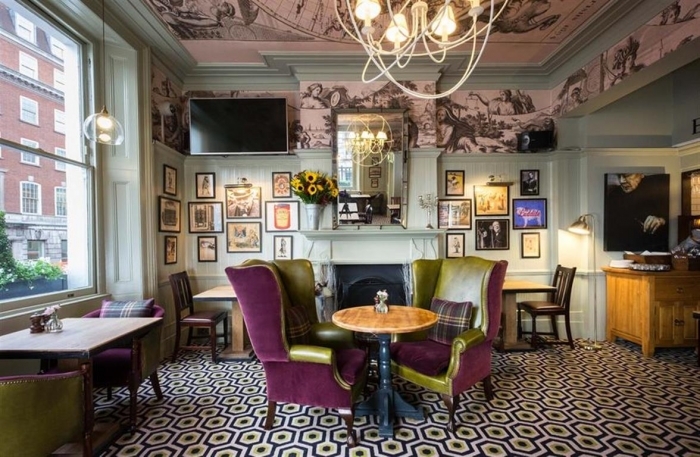 Comments, Ed Hester, "We have planned the five day trip to allow plenty of time for chateaux and wine tasting, we estimate the cost including travel, food and accommodation will be around the £500 per person mark. Places will be limited to 30 cyclists, though we will be able to accommodate some non-cyclists in a support capacity too. Only a few spaces remain so if you are interested in joining us we would urge you to get in touch asap." For more information download this booklet. Those interested are invited to email Melanie Butler for more details at melaniebutler@princethorpe.co.uk. 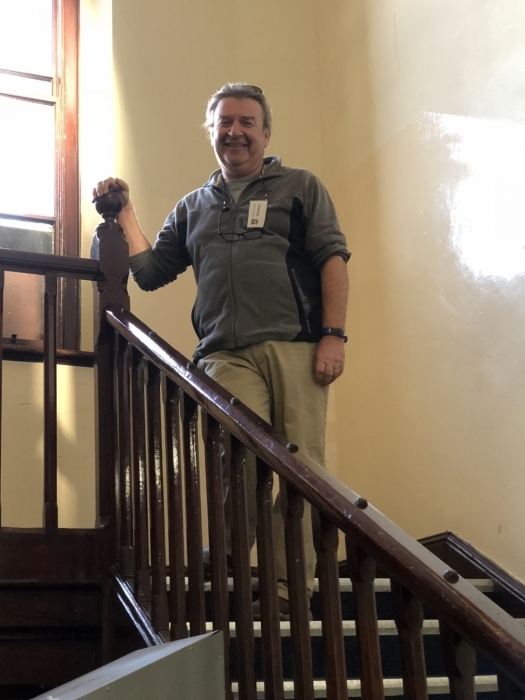 Chris McCullough, Head of Fisher House, will sadly be leaving Princethorpe this summer having been appointed to the role of Deputy Headteacher at The Kingsley School in Leamington from September 2019. 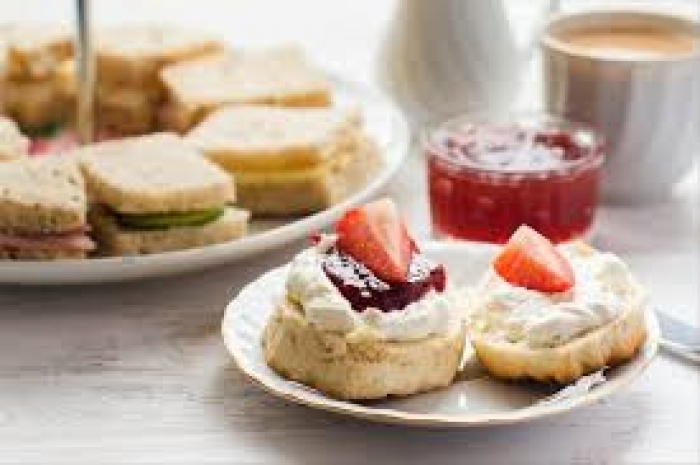 Chris will be one of the members of staff attending the OPs Summer Supper on Friday 28 June, if you would like to come along and wish her well please email Old Princethorpians. 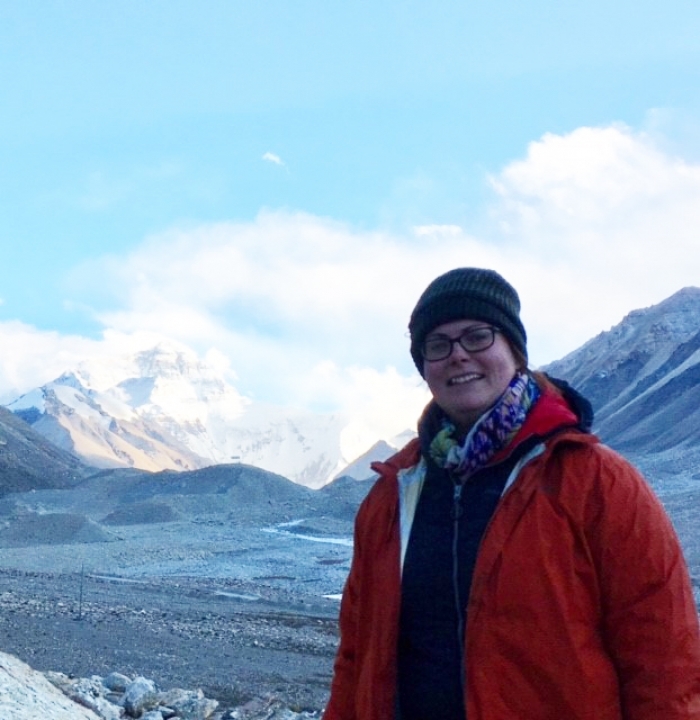 Princethorpe Biology Teacher, Faye Roberts has been on a sabbatical year and shares with us here the amazing experiences she has been having. 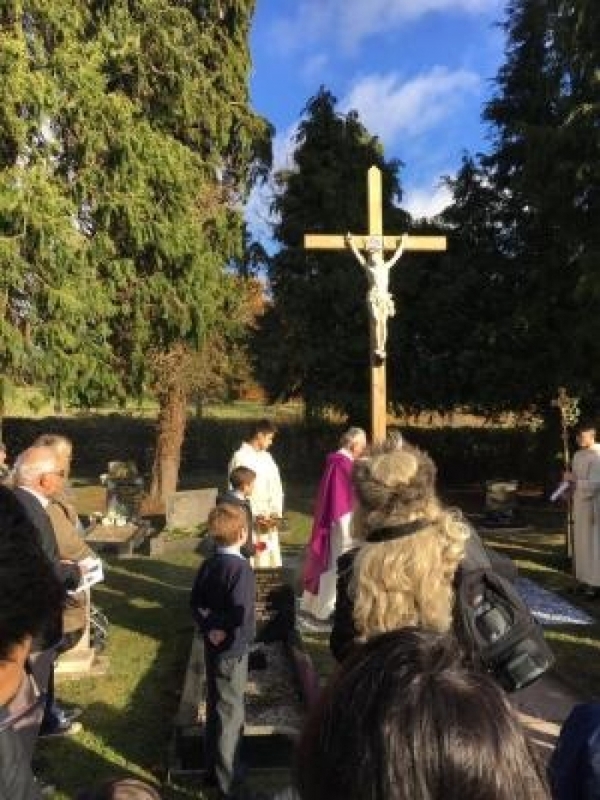 The War Memorial in Princethorpe Cemetery was re-dedicated and blessed by Father Teddy O’Brien MSC assisted by Sean and Luke O’Kelly on Sunday 11 November 2018. 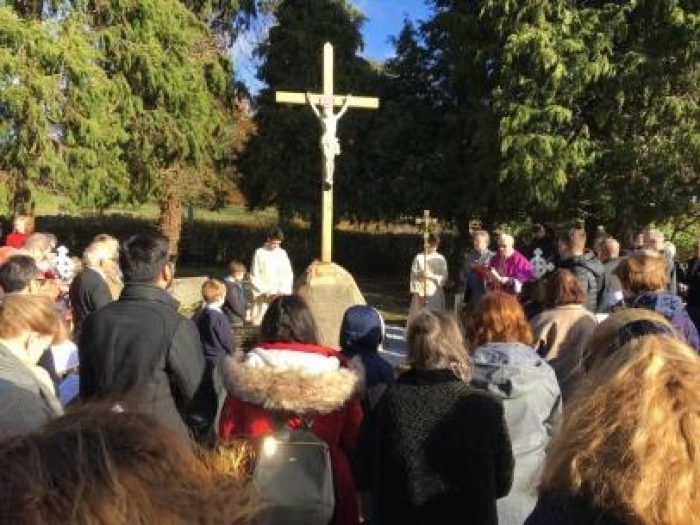 Approximately 100 parishioners, members of the Princethorpe village community, friends and visitors processed down the Princethorpe College drive after the 10.00am Mass to begin the re-dedication and blessing at 10.45am in time for the two minute national silence at 11.00am. 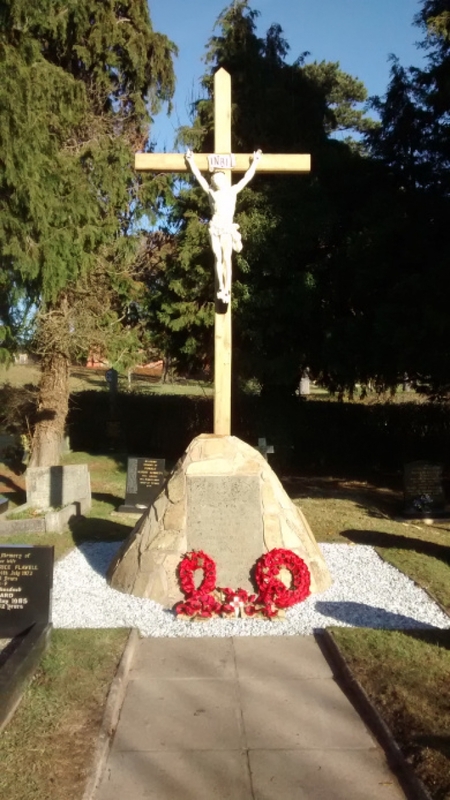 Fr Teddy O'Brien and the parishioners of St Anne's, Wappenbury, who are responsible for the cemetery and the upkeep of the memorial and grounds, would like to thank the War Memorials Trust for their generous donation of £3750.00 towards the £6000.00 cost of restoring the memorial. We must also thank the many parishioners and friends who have supported our target to ensure the funding for the memorial was raised. Special thanks to Mr Rory O’Connor of Historic Buildings Restoration for his diligence and professional expertise. The First World War memorial was erected by the Benedictine nuns of St Mary’s Priory now Princethorpe College. A dedication service was held on 18 September 1922. The memorial was in a poor state of repair. The restoration began with the removal of the Corpus (which was discovered to be cast iron coated with an ivory coloured enamel) and the original oak cross – rotten, warped and desperately in need of replacement. 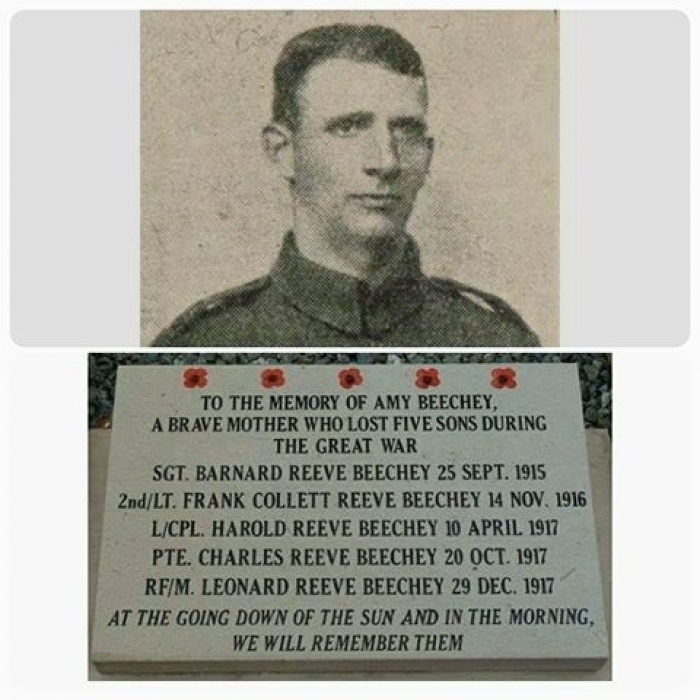 The link here shows images of the memorial prior to its restoration - thank you to parishioner John O'Kelly who supplied the images. If you have a few minutes please take time to enter the cemetery and view the restoration. One of our past boarders, Edward Enwonwu, is in buried in the cemetery. Edward joined Princethorpe on the 10th September 1979 alongside his older brother, Cyril. 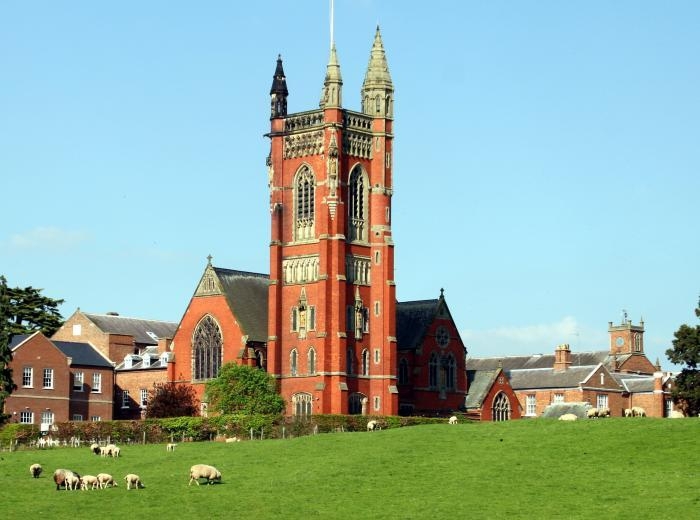 They had previously attended Cotton College, a Roman Catholic Boarding School near Stoke on Trent. He was awarded the 1981 Junior Sports Award for Basketball. Edward died whilst he was studying at Princethorpe in 1983. Coming to the end of a cross country run Edward collapsed in the College grounds from an undiagnosed heart defect. A requiem Mass for Edward was attended by over 700 people. As testament to his popularity at the College Edward is mentioned warmly by a couple of OPs in their Old Princethorpian Interviews for the newsletter - Robert Pesch in Lent 2011 and Simon Loasby in Michaelmas 2011 editions. Professor and Mrs Enwonwu, Edward's parents, decided that he should remain in sight of the College as he was so happy at Princethorpe. 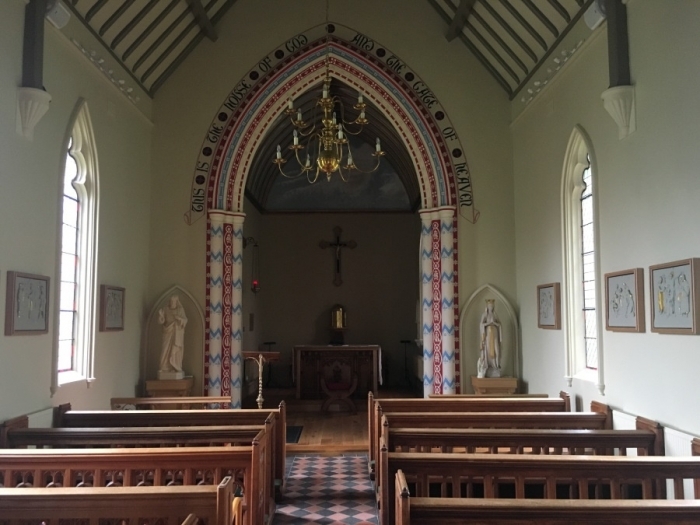 Fr Teddy celebrates Mass every Sunday at St Anne's, Wappenbury CV33 9DW at 8.30am and at 10.15am in the Chapel of Our Lady of the Angels', Princethorpe College. All are welcome. 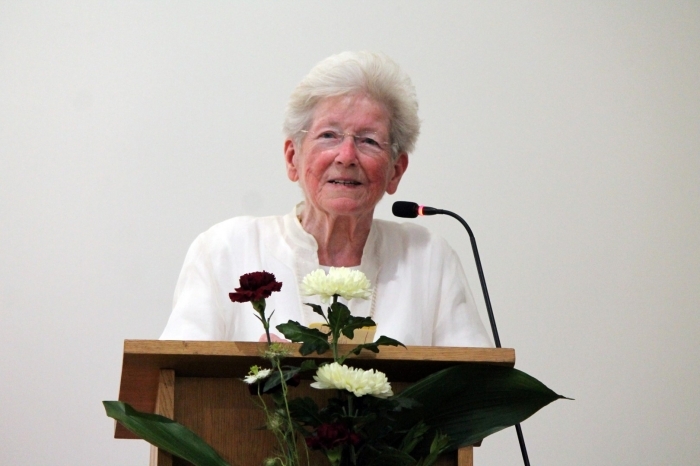 At the end of November Princethorpe College said farewell to much loved peripatetic teacher, Mrs Mary MacDonald. Mary introduced tuition for the London Academy of Music and Dramatic Art (LAMDA) examinations back in September 2012 and, over the intervening years, under her expert leadership, the numbers of pupils studying the communication and performance syllabuses gradually increased. Princethorpe College now has four LAMDA teachers and 81 pupils taking lessons in the dramatic arts. All Mary’s pupils have thrived and with her encouragement have successfully progressed through the syllabus, some right to the very top level, a number achieving Gold Medals at Grade 8. Keen for all her pupils to achieve their full potential Mary has always structured her teaching to bring out the best in every piece of work under study. 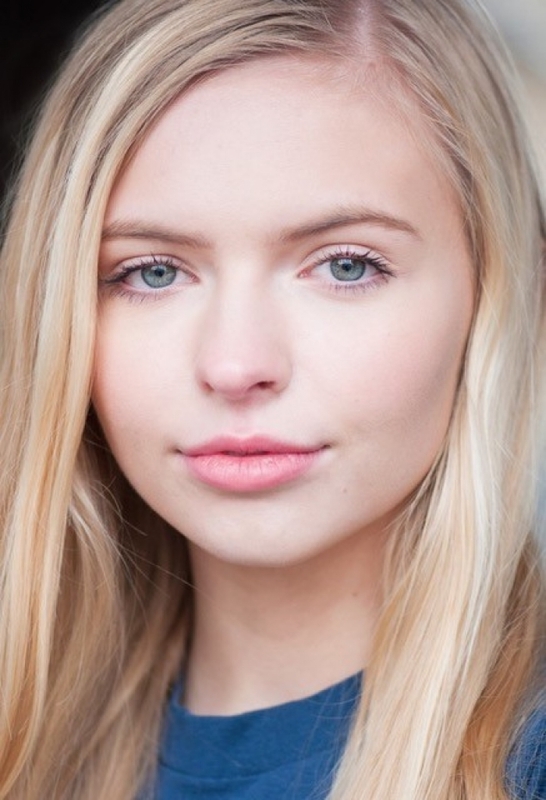 She actively supported school performance events and has helped LAMDA become an integral part of the performing arts offering at Princethorpe College. 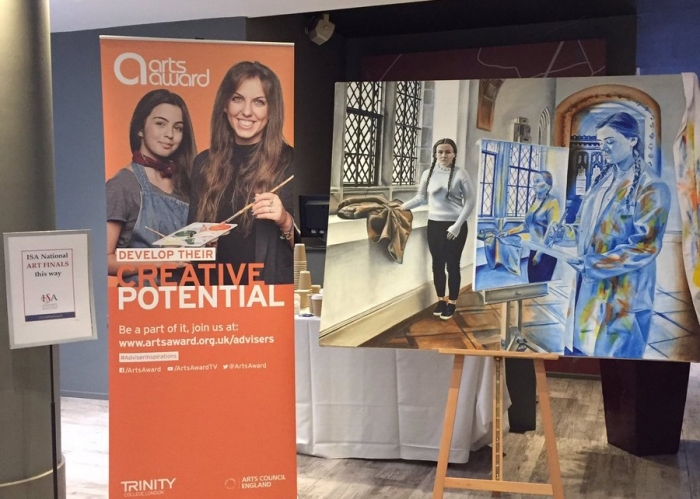 Recent Upper Sixth leaver, Adam Smith, has been recognised in the Independent Schools’ Association’s prestigious National Art Competition. His entry, Ella in Blue, was judged runner-up in the Key Stage 5 2D Art Individual class. 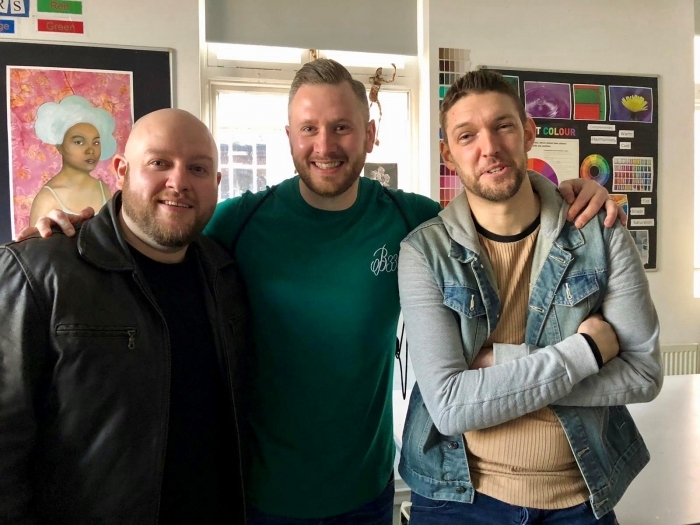 Adam’s striking piece will be instantly recognisable to anyone connected to the College as it has featured both on the cover of the school’s Pinnacle magazine and as a scene in the College’s new film Princethorpe – What’s It All About? Studies for the work are now also gracing the walls outside the Art department inspiring all who walk by. Princethorpe College Head of Art, Paul Hubball, applauded the winners, “These prizes are a reflection of the talent we have within our school. Our winners were each worthy recipients. With years of hard work behind them, they have produced exceptional work, some of the finest art in the College’s history." This year’s bumper crop of prizes reflects the depth and range of talent in Princethorpe's Art and Photography Department. Very shortly, we shall be launching an exciting capital campaign for Science, and hope that through a ‘Menu of Giving’ we will be able to offer every single member of the Old Princethorpians a chance to join our fundraising plans. 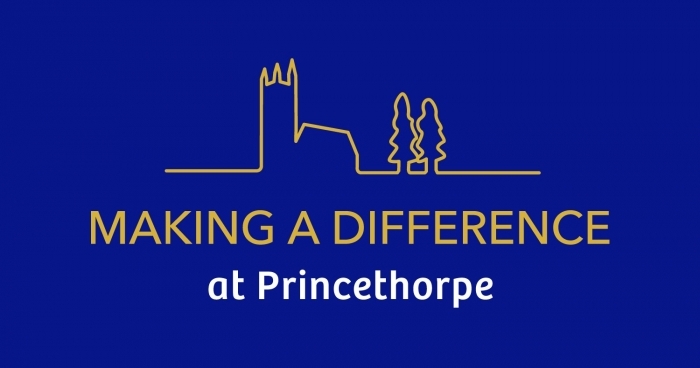 More news will follow shortly, and all members of the Princethorpe community are invited to attend an information evening entitled Princethorpe – A Vision for the Future on Thursday 14 March. Click here to RSVP for the evening. Just before Christmas the Development Office was delighted to host a festive evening of cheese, wine and friendship for all those who had supported the College’s fundraising efforts throughout 2018. Trustees, former and current parents, staff and friends of the college, met in the Sixth Form dining room to share stories, exchange festive wishes, and enjoy the ‘Spirit of Family’ so prevalent in our community. 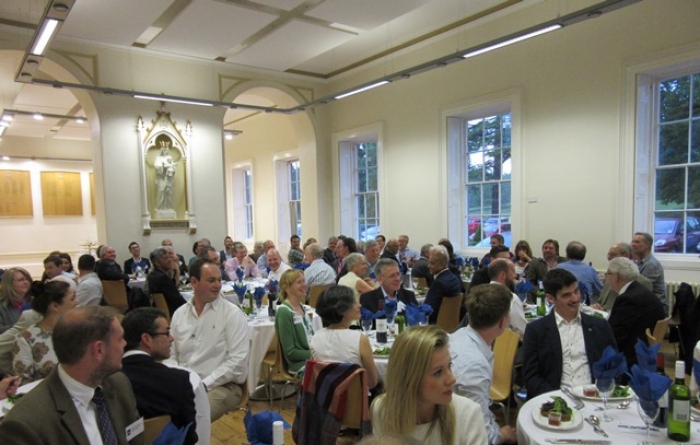 We recognise the importance of thanking all our donors and supporters, in particular those who give their time so freely to the college. Our friends in Hong Kong were also thanked remotely, for all their friendship, support and warmth. It seems the Princethorpe community knows no geographical bounds! 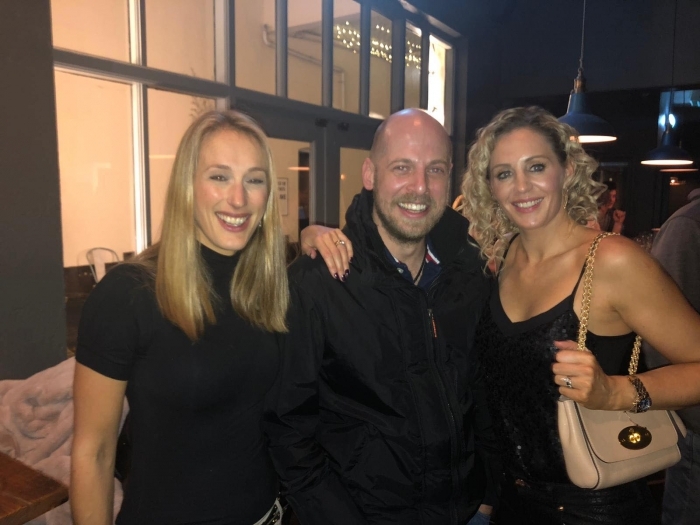 Ed Hester thanked our guests for their donations and support, and explained how the funds raised had made such a difference to the lives of pupils at Princethorpe. 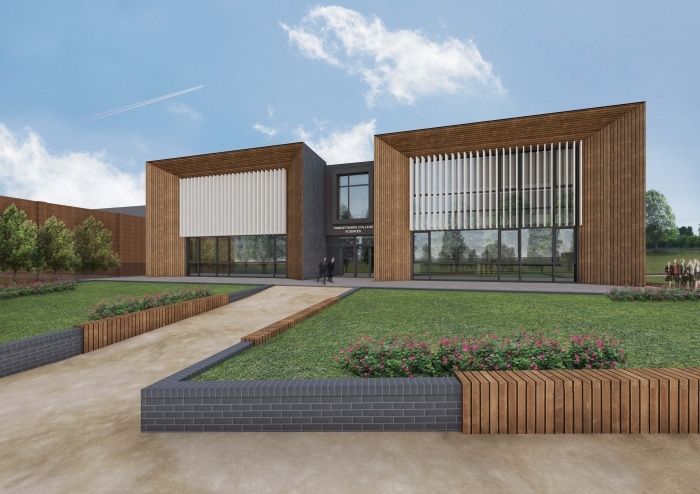 We were also able to give our guests a sneak preview of the exciting plans for Princethorpe’s future, including an inspirational new Science building, planned for 2022. The two-storey building will provide contemporary, spacious and well-quipped accommodation for the three Sciences, but will also benefit many other areas of the curriculum, including the redevelopment and clustering of other departments, providing permanent homes for Economics, Business Studies, Geography and Classics and dedicated laboratory areas for Academic PE. It was lovely to see friendly and familiar faces from across the generations, coming together to support the College. 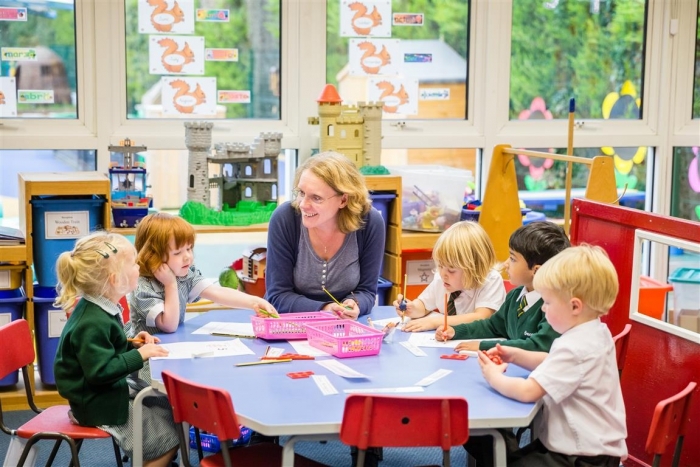 We look forward to working with the wider Princethorpe community in the coming months and years, to enable us to offer more bursaries to deserving pupils and support our school development plans. 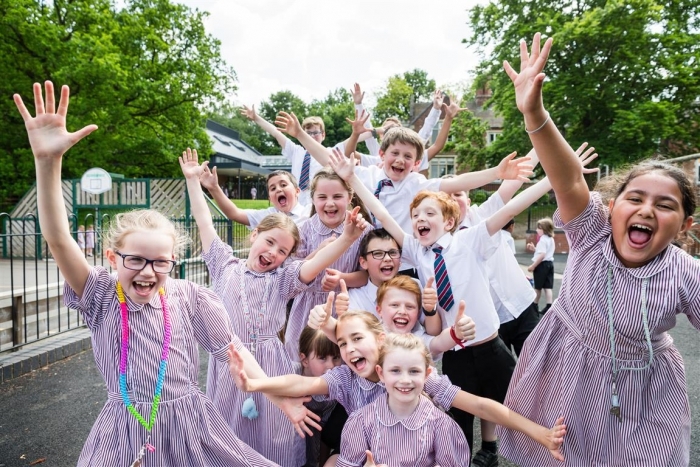 Old Princethorpians are most welcome to attend an information evening on Thursday 14 March, where the Headmaster will outline plans for Princethorpe’s future. Anyone wishing to attend, please see the article entitled Princethorpe - A Vision For The Future Evening and RSVP using the link here. I currently live with my parents in Coventry but spend a fair amount of time in London attending auditions. I am an actor and work part time behind a bar. My first professional acting role was for CBS Reality when I was 16. I was in a documentary for a series called Stalkers Who Kill. 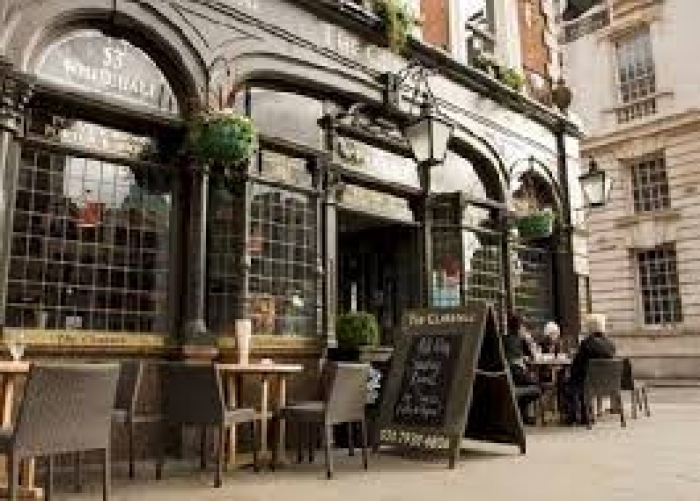 I managed to get representation from a fantastic agent in the West End. 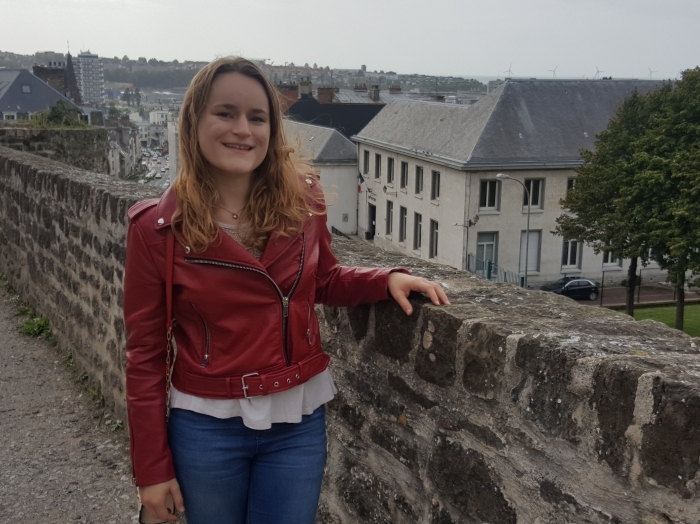 I have since had a small role in a TV series, filmed a couple of commercials, had lots of auditions and last year got the role of Footman in The Favourite and I am now working on a movie in Paris. 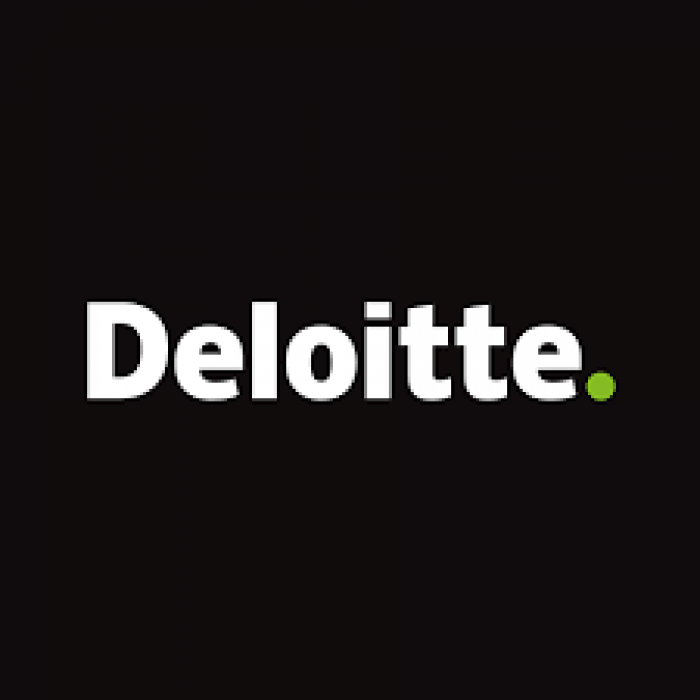 2010- 2015. I then went on to study Acting at Stratford-upon-Avon College for two years. Princethorpe was a happy and positive place to be. It set me on course for my career. I hadn’t done any acting prior to being involved in the school production of Guys and Dolls (I played Big Al) when studying Drama for GCSE. I changed my original choice of Resistant Materials course to Drama half way through the first term because I hated it! I am still a teenager so I don’t feel I am old enough to give my younger self advice, other than don’t be scared of what other people think. If anything would keep me awake at night it would be thinking about my future. I guess my proudest moments have been getting a role in The Favourite and working with amazing actors and now recently getting a lead role in a film that I’m currently filming in Paris. My hobby of snowboarding, because it is very expensive. It has to be my mum’s Thai Chicken Curry. Hanging out with my mates at lunchtime and having a laugh. I am still in touch with Freddie Dadson, Charlie Green and Archie Dewhurst. To see a clip of Dec in the BAFTA award-winning film The Favourite with Olivia Coleman click here. 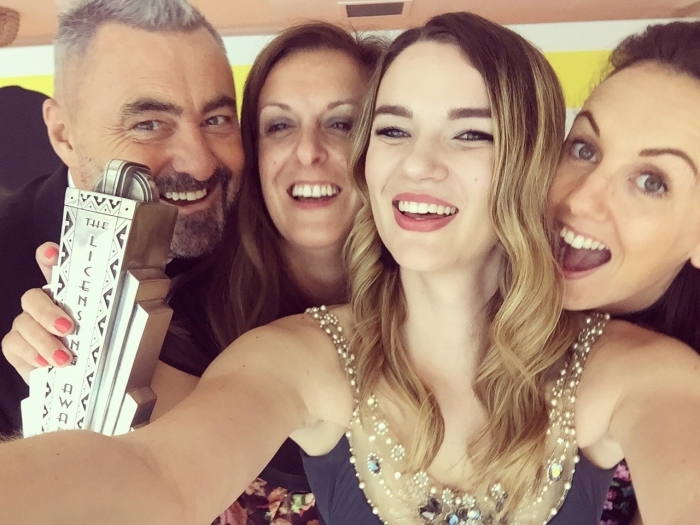 OP Laura Hanrahan (nee Crosby-Harris) and husband Phil share news of their latest family addition. 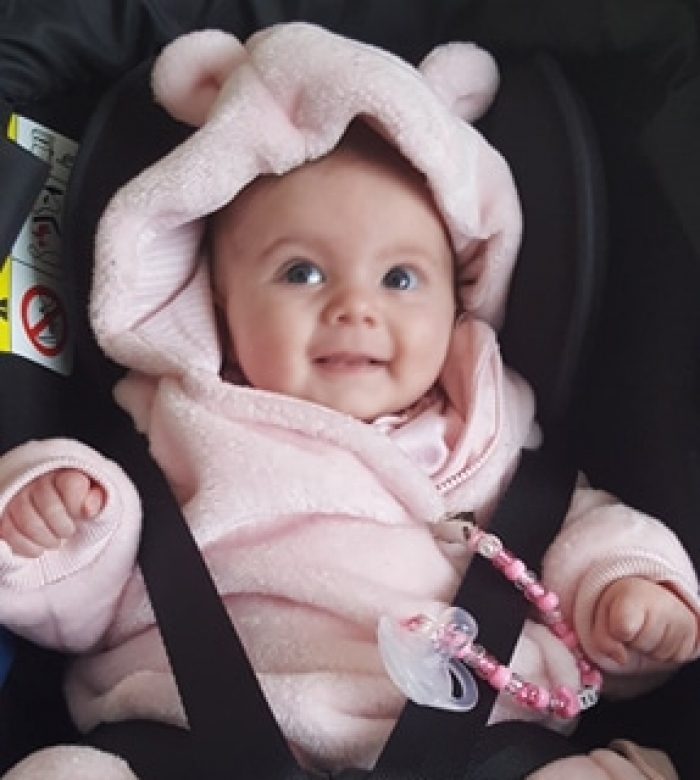 Ava Isobel May Hanrahan was born on 3rd November 2018. Words cannot describe how much love we have for her, she melts our hearts. We are so so lucky to have such a happy and content little lady! 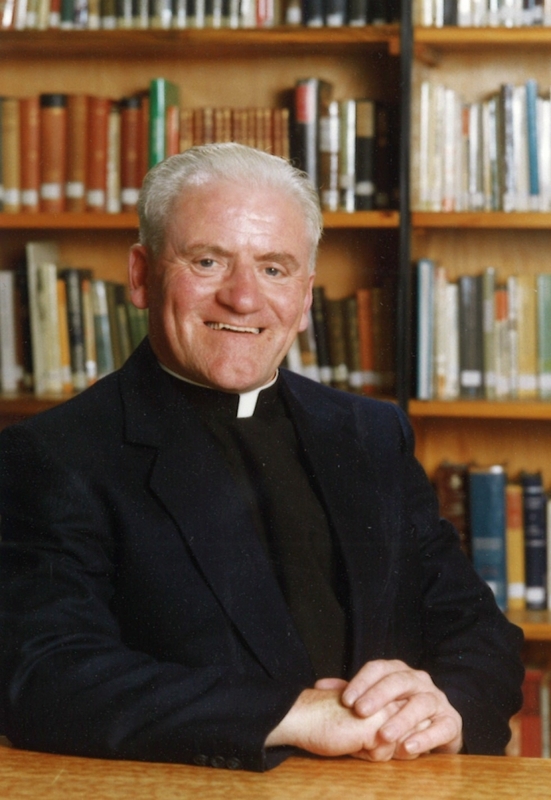 Fr Pat O’Sullivan, MSC passed away in September. He was a Science teacher at the College from 1972 to 1974. Born in Glengarriff, Co Cork, Ireland, he was the second youngest of a family of eleven siblings. He joined the MSCs in 1961 and was ordained in 1967. On leaving Princethorpe he went to Liverpool to teach in a comprehensive school until 1982 when he undertook parish ministry and in 1986 was appointed as Headmaster of the MSC school in Cork. From 1995 he served in a number of parishes in Ireland. 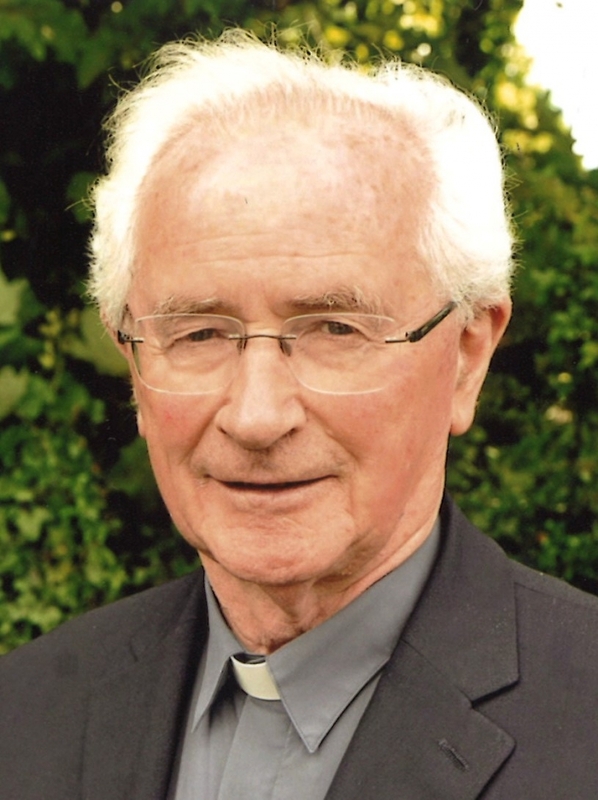 Fr Pat died on 18 September 2018 surrounded by his family and community. May he rest in peace. Carolyn Booth, who taught English and Drama at the College from 1980 to the early 2000s, sadly passed away just before Christmas. 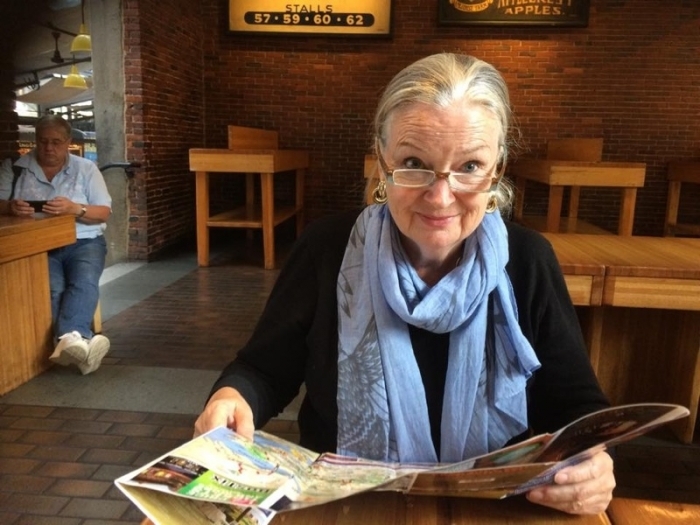 We thank her colleague and great friend Moira Weir for writing the following tribute to her. 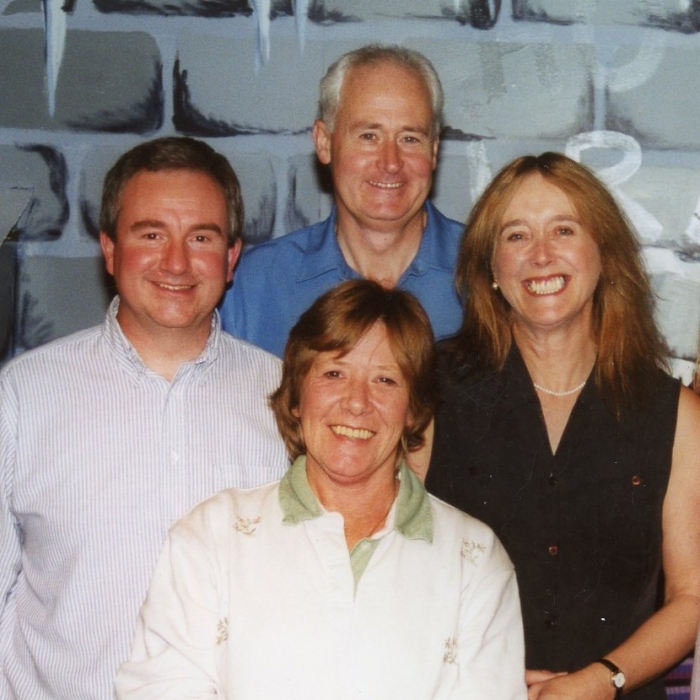 Carolyn is pictured front left with Alex Darkes, Pat and Moira Weir. Carolyn Booth was, quite simply, a treasure. She joined the English Department at Princethorpe in the mid 1980’s and spent over 20 years here as a devoted member of staff – devoted to her pupils, her subject, her colleagues and the ethos of the College. Loyalty and integrity defined her character. 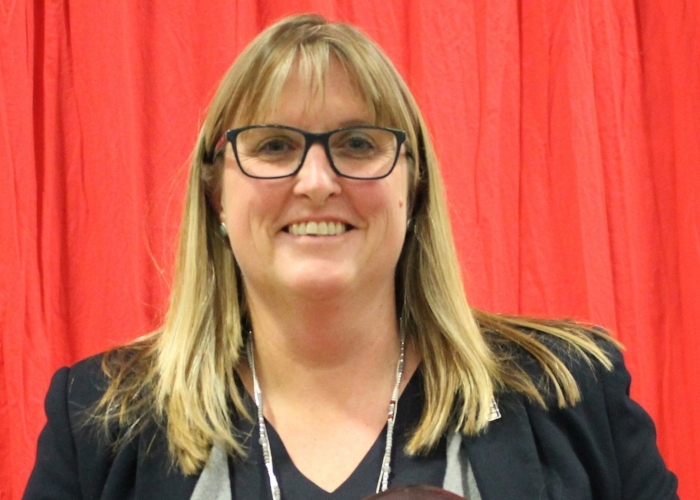 She was passionate about her family and her students and brought to her teaching a warmth and generosity which encouraged even the most uncertain learners to thrive. Carolyn’s love for Literature, and Drama in particular, was fostered by her mother who took her daughters from childhood on an annual pilgrimage from their home in Lytham St Anne’s to the Memorial Theatre at Stratford on Avon. Caroline relished the glamour of these visits and went on to specialise in English and Drama in her Education degree. 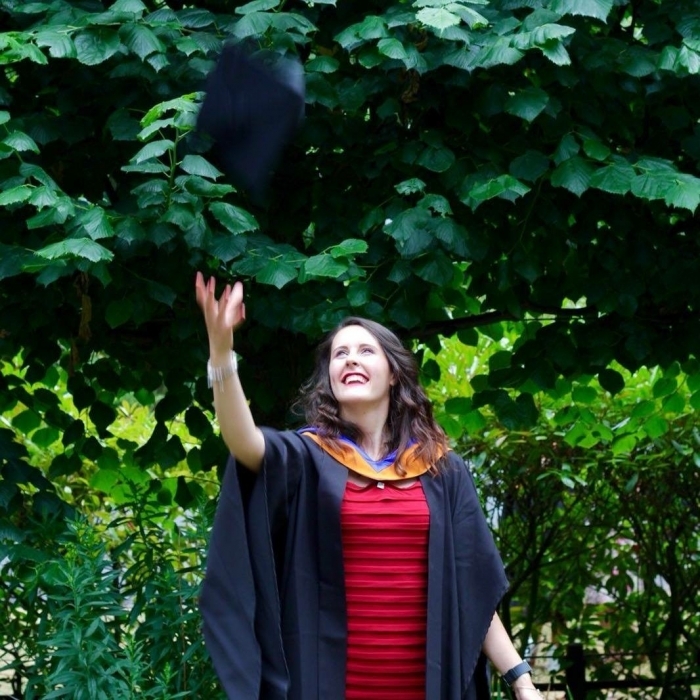 Her teaching was always enriched by her love for theatre and for the power of language and it was this enthusiasm, combined with rigorous high standards for herself and every one of her pupils, which defined her success in the classroom. She was a great teacher, with a wonderful ability to spot latent talent and give students the skills to astonish themselves and their parents under her patient guidance. And she was fun. Teaching next to her for many years, I soon recognised, when I heard hoots of laughter interspersed with her own gloriously resonant (she had a beautiful voice) notes of direction, that her class was in the middle of a rumbustious rendition of ‘A Midsummer Night’s Dream’, her own reverence for language shared joyously with many who had feared its difficulties. This determination to support and enable those in her care made her a stunning form tutor. 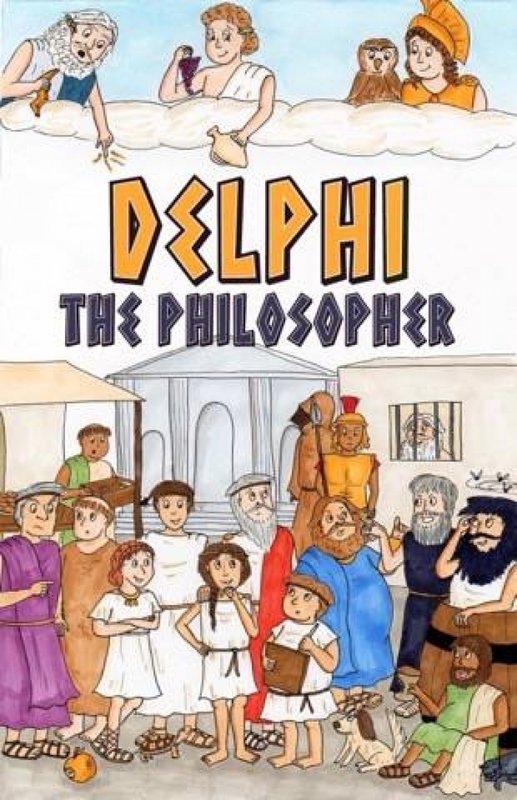 She was unstinting in chivvying, checking and organising her form to produce well-presented work on time, to behave appropriately, to raise funds for charities, to compete heroically and be the best they possibly could in all aspects of school life. She knew them thoroughly, faults as well as virtues, and defended them stoutly if she felt they had been misunderstood. (She could also give a ringing telling off if occasion arose, never confusing softness with fairness. They trusted her always to be fair.) She dealt with their problems with tact, tenderness and common sense. As a colleague she was whole-hearted, generous with her time and endless good fun. She performed with gusto in staff revues, plays and pantomimes, ran the drama club for years and supported the Parents’ Association in their fund-raising endeavours (with husband, Mike, always ‘volunteered’ as essential technical support). 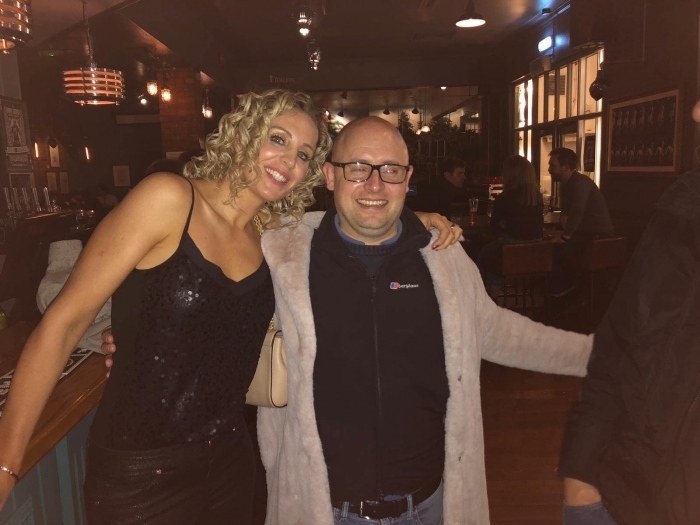 She was simply lovely to be with and could always be trusted to enliven dreary moments in a staff meeting with some drily apposite comment that would have her co-conspirator from Priors Marston, Rosie Neal, leading the laughter. There was a lot of laughter with Carolyn, so much exuberance, so much to live for, which made the condition which struck her so particularly tragic. But her legacy remains, not only in her own lovely and successful daughters (how proud she would be of them both). 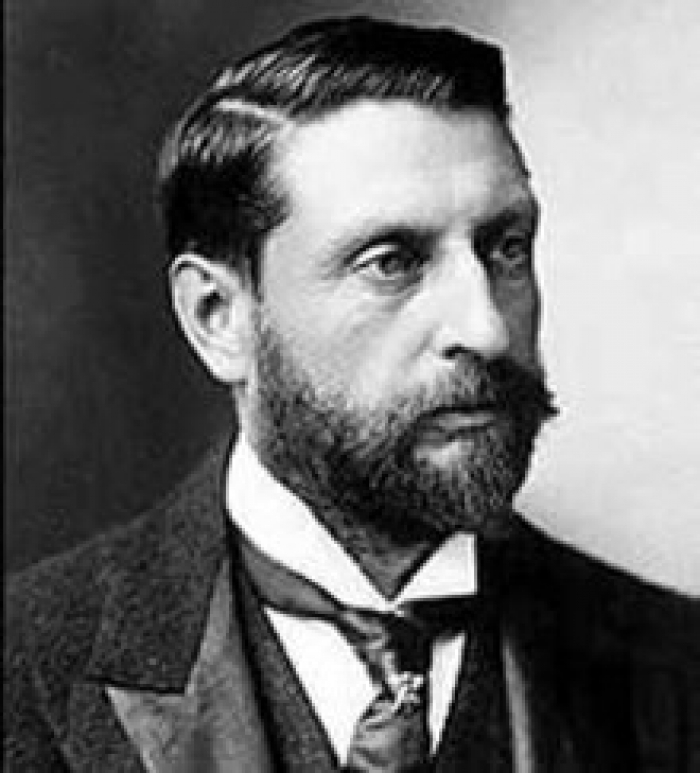 There are many men and women today who owe their confidence in public speaking, their facility with language, their ability to write reports, analyse difficult processes, perform on stage - and to introduce their own children to the delights of theatre and Shakespeare in particular – to one small teacher with one great heart. Carolyn, we salute you. Fr Pat Courtney, MSC sadly passed away on Thursday 7 February in Killarney, Ireland. Fr Pat was born on 30th May 1941 in Killarney, Ireland. After completing his secondary education, he joined the Missionaries of the Sacred Heart [MSC] and on completion of his philosophy and theology studies was ordinated on 21st December 1966. The first appointment of his priestly ministry was as a teacher in St Bede’s College in Leamington Spa, Warwickshire. Not long thereafter he was promoted to lecturer in Church History and Assistant Novice Master in the MSC house of studies in Galway, Ireland. On completion of further studies, he was assigned as Parish Priest in St Albert’s, Liverpool where he worked tirelessly for the people both for the Church and in education in what was then a socially deprived area. While normally shy of the limelight, he appeared in the national newspapers as the person who had built the first vandal-proof school. After his time in Liverpool, Pat became bursar in Princethorpe College where he showed his aptitude and capabilities in the finance department. Not long after stepping down from the post he was appointed as Parish Priest in St Albans & St Stephens in St Albans. 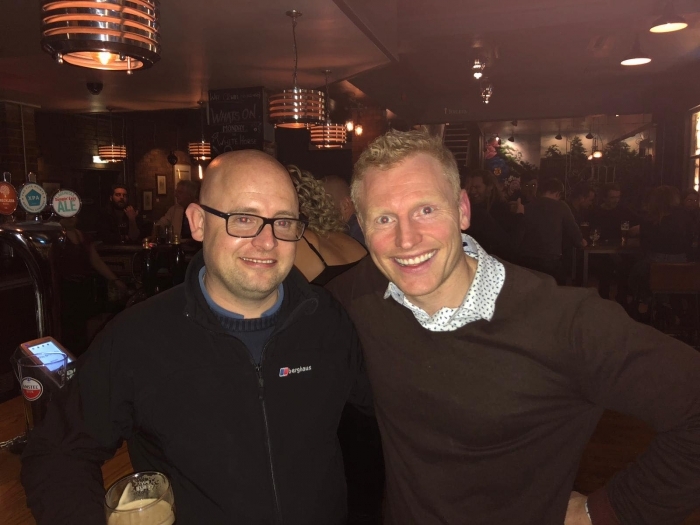 After another trip back to Ireland he was appointed Deputy Provincial of the Irish Province, a post he enjoyed as he travelled the world to meetings and engaging with fellow MSC’s. In 2005 he was elected as Provincial Leader of the Irish Province and from 2011 spent his retirement days in Ireland. Fr Pat’s contribution to Princethorpe College was immeasurable for a man who worked very much behind the scenes. His years as bursar and latterly as Chair of Governors laid the foundation for the College to be the success it is today. His dogged determination at meetings was a hallmark of his ability to focus on the essentials and while listening to other viewpoints he was always concerned as to what was best for the College community of staff, parents and students. Offering a listening ear was his way of living out in the College ethos of caring for others. Fr Pat was a wise priest and very much a pastoral man committed to his faith and ministry. He was never happier than in convivial company and most likely with a pint of Guinness or a glass of Jameson in his hand. We will remember him with great affection and we commend him to the Lord. Savvas and I have been together for over three years. We met at a Greek wedding - I was a bridesmaid, and he was a groomsman. We got married at the same church and venue as the wedding we met at, which was a nice full circle for us. Our wedding was a traditional Greek wedding which involved blessings at our homes and a ceremony at the Greek Orthodox Church in Birmingham. The weather was perfect, we were very lucky to have sunshine and warmth so late in October. 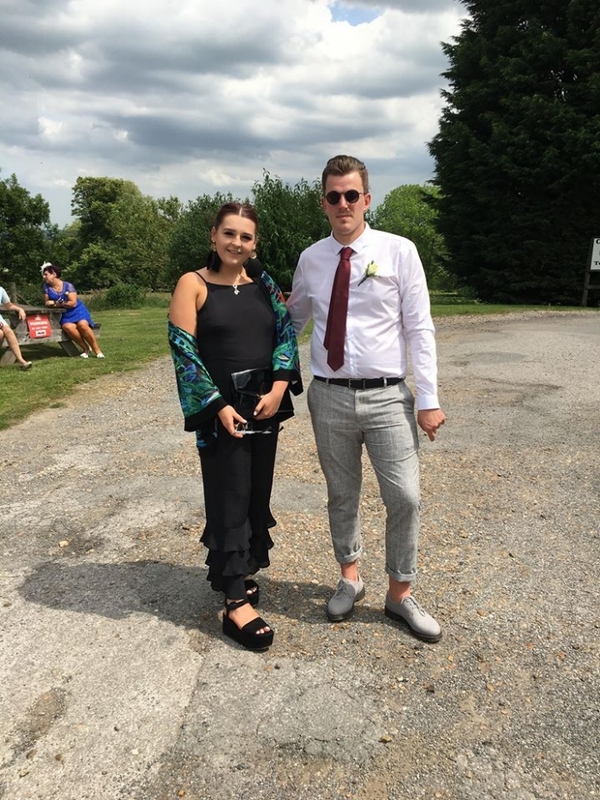 There were a lot of current Foundation staff in attendance and some Old Princethorpians including Lottie Jones and Jordan Casewell who were bridesmaids. Sophie Sheridan, also an Old Princthorpian, was my hair stylist and did an amazing job. Also in attendance was Harry Barnes, Andy Lawn, George Phedon, Alice and Charlie Green and Hannah Pell. We had an amazing day and are so grateful to all our friends and family who made the day so special for us. I’m now working at Crackley Hall School, it is lovely to still be part of the Foundation. Sav works at an accountancy firm. I left Princethorpe in 2006. I’m now a research scientist at the University of Bath, doing exercise physiology and nutrition research. 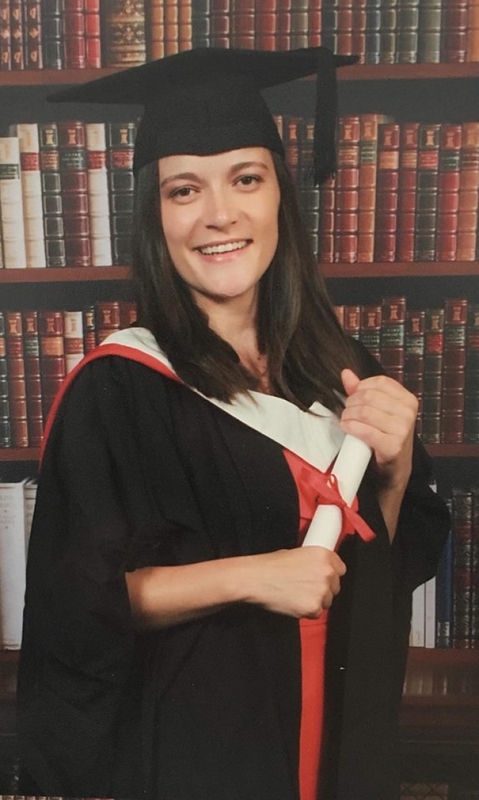 I completed my PhD there a couple of years ago, studying physiology of muscle in ageing, and did my undergraduate degree there too in Sports and Exercise Science. 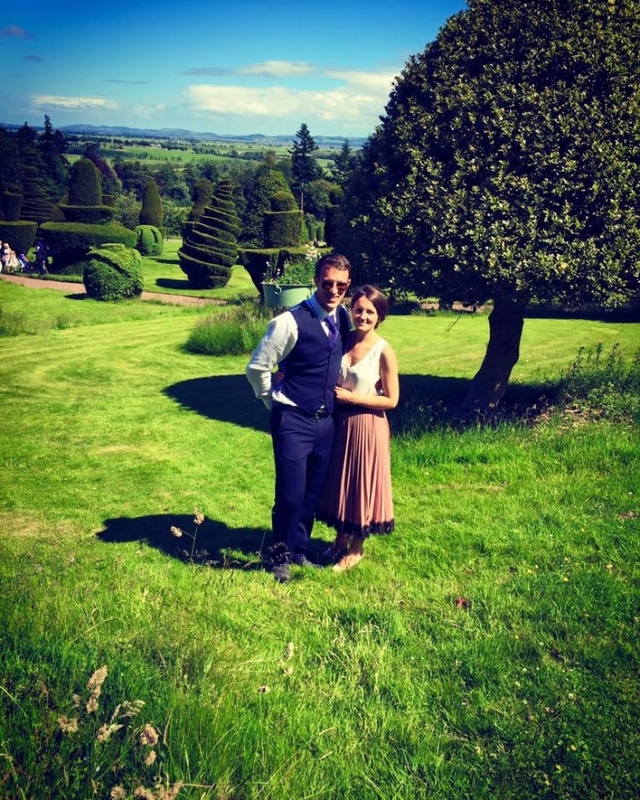 Beth was a ballet dancer in her youth, but is now a doctor, specialising in Dermatology at Bristol Royal Infirmary. 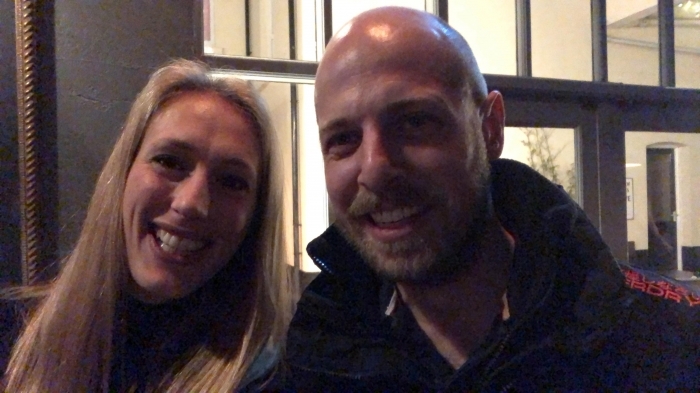 Our wedding will take place in September 2019 at Belvoir Castle, near to where Beth grew up, and where her late grandparents met - he was a butler and she was a girl in service for a family that used to visit for shooting. William and I met while studying for our degrees at the Royal Agricultural University in Cirencester. Soon after, William moved to London and I gained a place on the British Horseracing Association (BHA) graduate scheme. 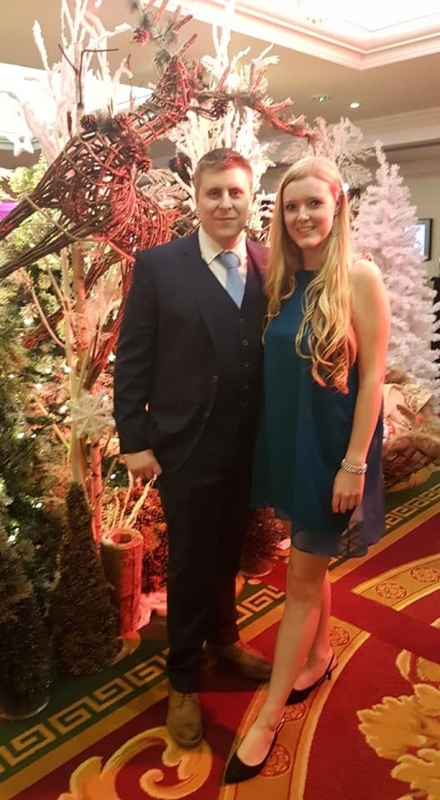 In 2017 we both moved to Newmarket where I currently work for Marco Botti as a racing secretary and William works as a contract manager for a local Tree and Landscaping Company. William proposed to me on a picnic in a park last June and it was made even more special as my engagement ring belonged to his grandmother. We are getting married in a church in a small village near Newark in June and will be celebrating with family and friends. My sister Hannah (Princethorpe: 2001-2007) is bridesmaid and my brothers, Michael (Princethorpe: 2000-2006) and Tom (Princethorpe: 2005-2012) are ushers. We are looking forward to the big day and hoping for good weather. Wishing you lots of joy Grace and William! 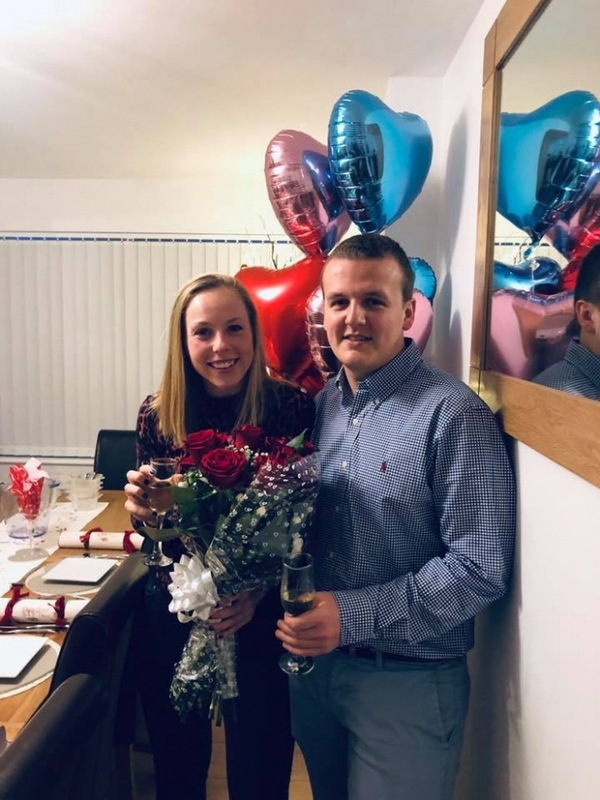 Old Princethorpian Alice Braithwaite and her fiancé Matthew Higson got engaged in December, she tells us how they got together. 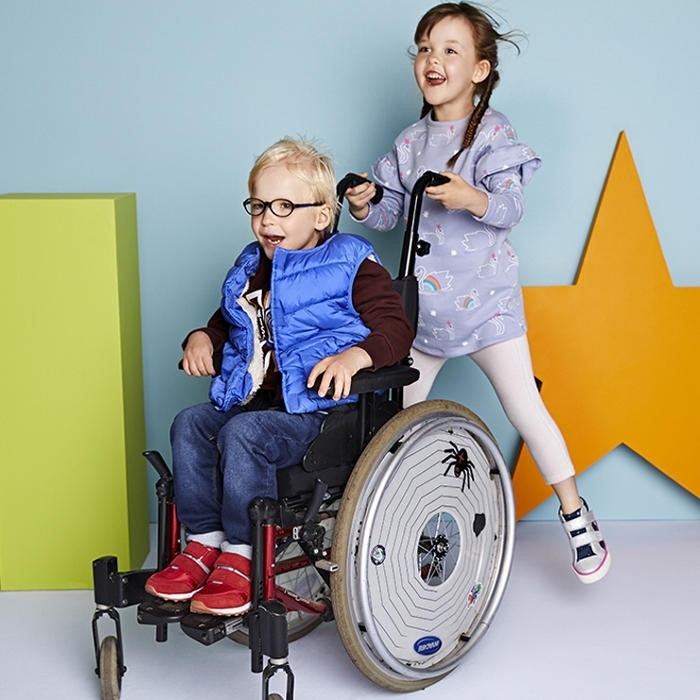 Matthew is videographer for an outdoor company called Ellis Brighams, I am a store manager for River Island. We actually met online! Our second date was in Dublin which we booked on our first date. It is where we got engaged ,at the top of the Guinness Storehouse! Our plans for the big day are to have a relaxed day with lots of sunflowers and a big paella! A very small affair and low key. Enjoy your day Alice and Matthew! 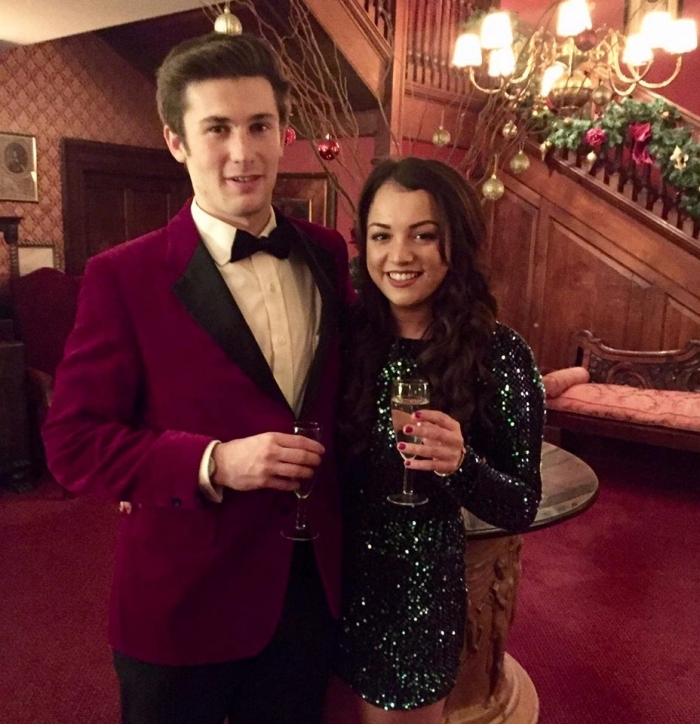 Old Princethorpian Alice Pickin and her fiancé Tom Affud got engaged in January, here's their story. Tom and I bumped into each other at a police station! Tom is a Police Sergeant and I was there for work as I used to work in hygiene sales and so was surveying police headquarters. We got talking and haven't looked back since! Now I work in dental sales in both private practices and hospitals, with a unique product called Cerezen that provides relief from facial pain. Tom is a Police Sergeant at Northamptonshire Police. 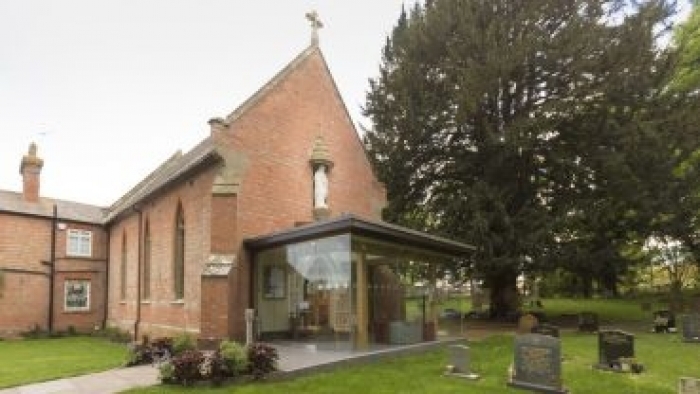 Our wedding will be held at Ladbroke Church, the village where I grew up, followed by a marquee reception in my parents' garden, in April 2020. Richard and I met through Bilton Silver Band as this is the band I play in and his dad plays in. Richard works at JLR doing an apprenticeship which finishes in September and I work at Princethorpe and Crackley teaching Brass alongside an Open University degree. We have some ideas of venue for the big day and we are aiming for April next year. My time at Princethorpe was from 1973 until 1980. I was lucky enough to attend Princethorpe in the good old days when (as boarders) we roamed far and wide around the buildings and grounds. Princethorpe was ideal for both. The slightly fearsome Mr Price taught me all about the game they play in heaven and the grounds themselves were my birding tutor. 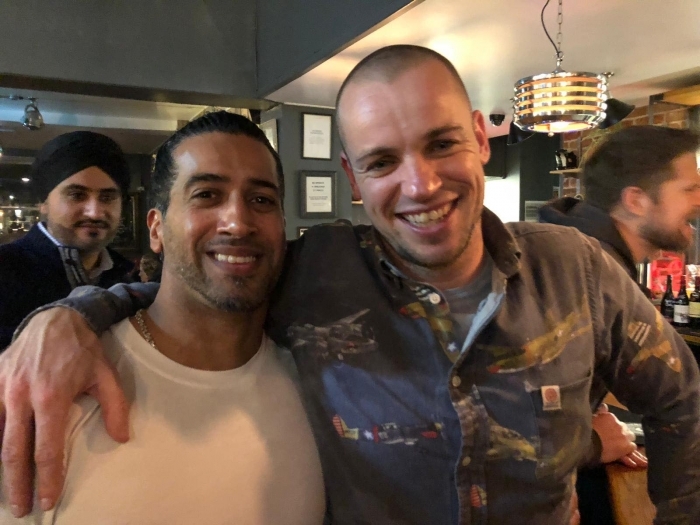 The combination of boarding school discipline, compassionate support from staff, lots of great sport and the freedom to spend time on my own doing my own thing could not have been a better environment for me at the time and I thrived. The school was also a place to make great friends. I remember meeting my great friend Antony Jarvis for the first time on the walk out to the rugby fields. He told me about his life in Kenya and how much his mother loved birdwatching. I told him how wonderful it must be to watch birds in such an amazing country and the next thing I know I’m on a plane to Nairobi at the start of the summer holidays. 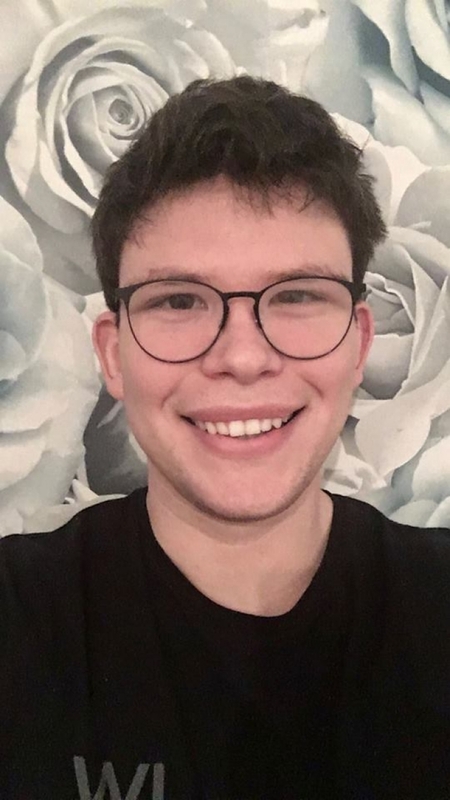 My connection with Antony, his family and Africa itself have remained very strong and my eldest son is just about to start a ranger course in South Africa and Botswana as part of his gap year adventures. Kieran Cahill was another great friend I made at school. We spent the last two years of school sharing a room in the building at the end of the drive where we had to keep the coal fired boiler working or we ran out of heat and hot water. Not so funny in the middle of winter. Unfortunately for Kieran, he is a very tidy man and……I am not. I still fold clothes the way he taught me to. Thanks for all your patience Kieran. Like me, he married an Australian and lives in Brisbane. I see him several times a year. The teaching staff at the time were a combination of lay and clerical. There were too many great people who supported me and helped me whilst I was at the school to name them all, but I would like to mention Father McManus. Even as a very young man, I would have described him as my friend. His compassion and wit were the source of great wisdom and insight for me. I learned a great deal from him, much of which has been invaluable to me as my life has progressed. 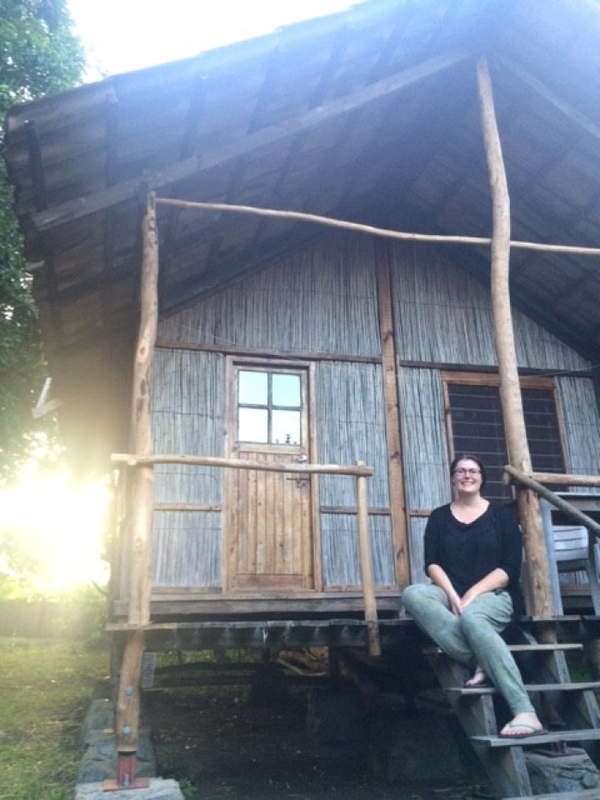 I moved to Australia with my work many years ago, married a fantastic Australian girl (Meg) and have been living happily every after ever since. Meg and I established a business in the Hunter Valley region of New South Wales in the pensions space and never really looked back. I have had an interesting and fulfilled life with many friends and plenty of love. I have been truly blessed. In December last year, my family and I visited Princethorpe and Melanie Butler was kind enough to devote some time to showing us all around. 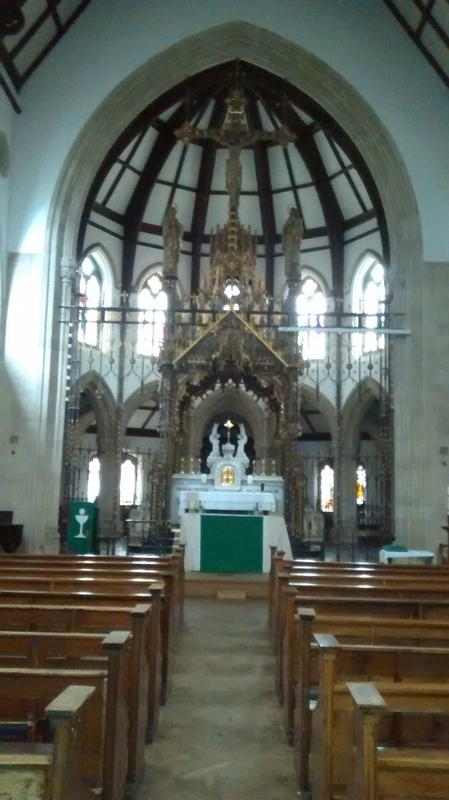 Neither of my children had been there before and it was my first visit since Midnight Mass in 1993. Obviously, a lot that has changed (for the better) but also a great many things remain the same. 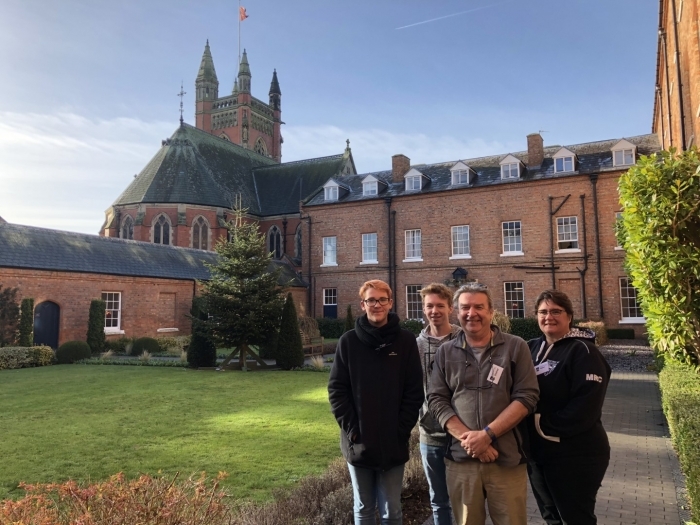 The visit brought back so many wonderful memories and whilst it was only a brief visit, the atmosphere and ethos of the school feel the same as they always have – for me, and that is great news for the current students. As for many people Princethorpe left an indelible and positive mark on my life that has continued to this day. I consider myself very lucky to have attended the school. It really changed my life. I wish everyone working at the school and all students the very best for 2019 – you have a great legacy to sustain. My name is Sei Matsumura residing in Tokyo, Japan. I studied at Princethorpe College from May 1987 to March in 1988. Our family lived in Coventry for that one year because my father was accepted to the University of Warwick as a visiting fellow during his sabbatical leave. He had finished his PhD of Social History at the University of Warwick. The deputy head Father McManus considered some conditions of mine at that time, I was 16 years old, it was the season just before GCSE (or rather O level) examinations and I was on my experiencing study period. He arranged for me to join the fourth year, the year below, and that worked well for me. As soon as I started at Princethorpe I was really into music and art, I was especially keen on playing piano under the guidance of the music teacher, Mrs Sue Francis. I challenged myself with tough piano pieces such as Chopin, Mozart, Gershwin etc - those we were not allowed to try in proper music course in Japan. It was lucky that my piano teacher was interested in me attempting pieces which I wished to play. Everyday I spent a lot of time focusing in the music practice room which was one of the quietest places in school. I also preferred to take piano lessons in the Chapel, I could hear the sound containing rich reverberations. I can also remember the uniqueness of the art class. For example, we could select or find the motif to draw for ourselves. Someone was drawing bottles consistently or another preferred drawing statues. I was drawing photos picked up from National Geographic. In Japan, students have to draw the same object designated. I can remember some of my friends full names such as David Banerjee, Jonathan Doxey, but most of them just their first names. There were some students from outside the UK, students from Hong Kong, Spain and Israel and we had the same English class for foreign students. Such an international atmosphere influenced me a lot. I hope all of them are well. 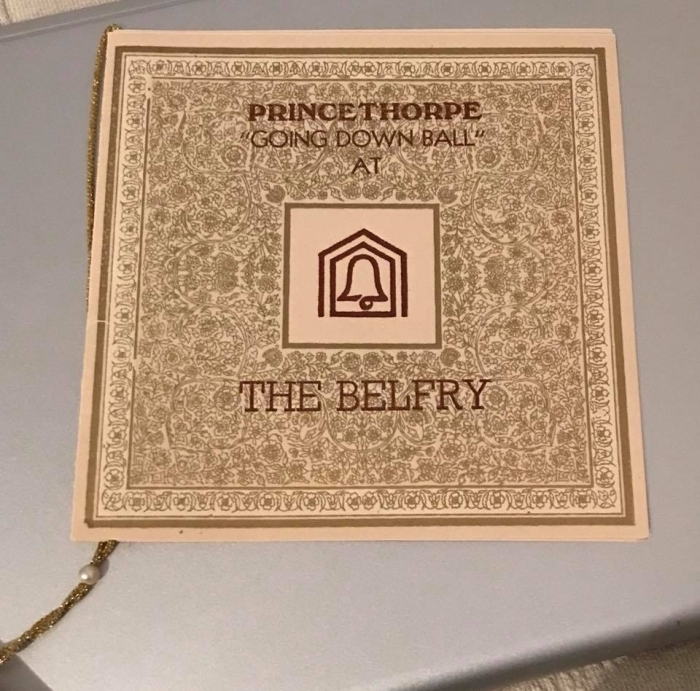 Last September I had the chance to visit Princethorpe College again after 20 years, because I participated in the Computer Music Conference at De Montfort University in Leicester. I stretched my legs to Coventry just the day before leaving to Japan. It was my pilgrimage. Once I stepped into Princethorpe, I was surprised that the facilities inside are truly renovated. However, main parts like the corridors and chapel are just the same as they were. In addition, it is a mixed school for boys and girls, now. 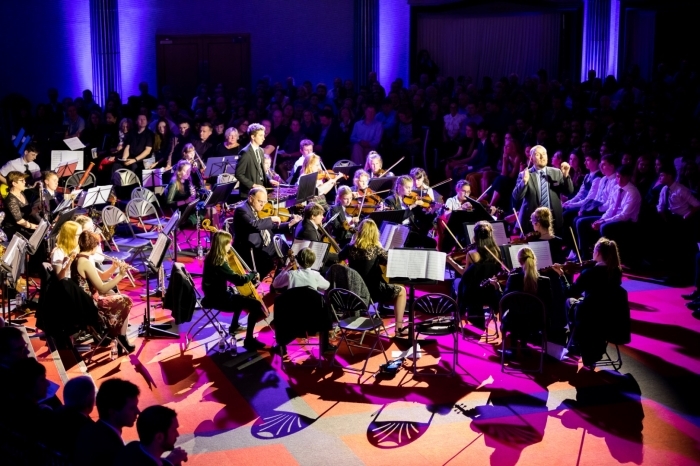 I am happy to see there is a sophisticated curriculum around Music, Art and also Computer Aided Design. Because, I am teaching Sound Design and Computer Programming for Design as one of the faculty members at School of Design, Tokyo University of Technology. After going back to Japan in 1988, I went up on to university as a computer music major. After I finished my BA I started my career as a video game sound designer and composer at SEGA. Then I shifted my course to academic, making interactive artwork or system based on audio, sometimes using visual and completed an MA and then a PhD. Looking back on my path, I think that the one year experience at Princethorpe was surely one of my turning points which formed my musical and artistic basis, alongside receiving a different sort of education. I am profoundly grateful to Princethorpe College. 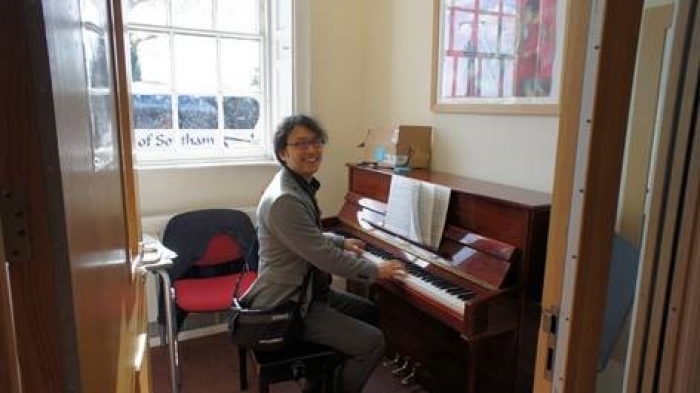 Sei is pictured in one of his beloved music practice rooms during his visit. 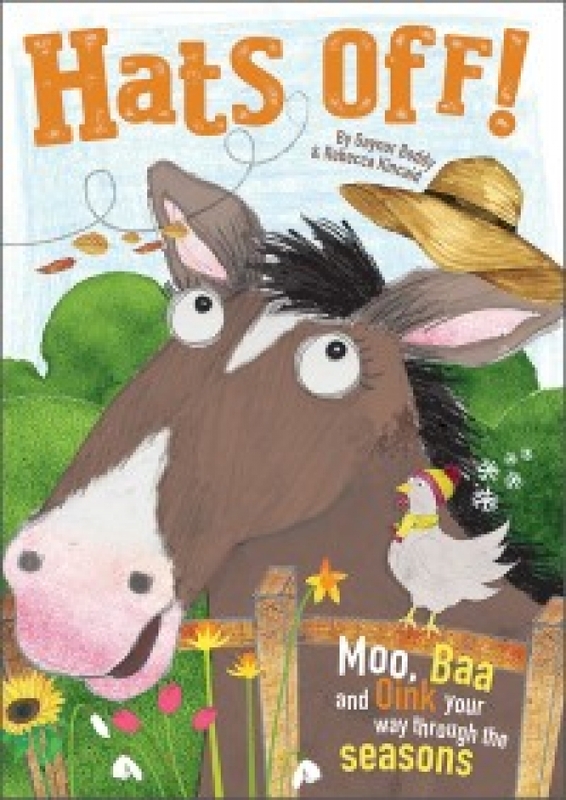 It’s what you do in the spring. We sort out our homes and lives as we strive for a fresh start. Yet inevitably through sorting, memories of the past are brought to the front of our minds. So it was that when decluttering the loft I came across a bag of videos gathering dust. A quick look at the title of one video cassette (for the benefit of some readers we did have to record moving pictures on magnetic tape would you believe) invoked memories of a fine original score by Rinaldo Merlo, thoughtful lyrics by Chris James and a classic Weir/Skiffington production. It was an easy choice then to ensure this particular plastic brick wasn’t added to the “stuff for the charity shop” or the “stuff for the burgeoning black bin bag”. Instead, I had the pleasure of converting this faithful recording onto a new media, albeit a bit shaky and noisy, for your viewing pleasure. A Tale of Two Cities can be seen by all again some 26 years later. 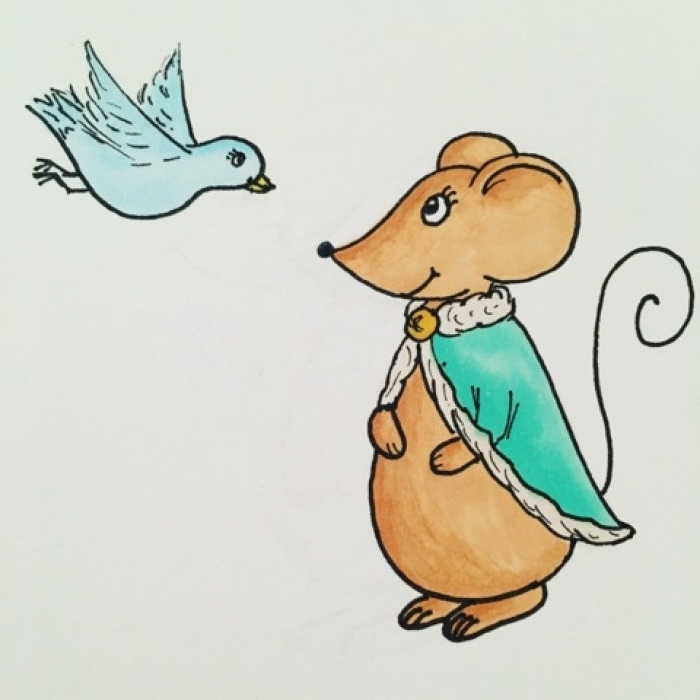 So, put aside your marigolds, hang up that duster and grab a cuppa to look through the artistic gems on https://www.youtube.com/user/sibboinwales. You may discover a reason to sort out your own loft. We get many enquiries into the Princethorpe archive, many from past pupils and their families who are interested in what we have from their time here. These are always a pleasure to research and I try to help whenever I can. Occasionally we get something that is a little more unusual. In November, we were contacted by a local landowner whose land backs onto the Crick Tunnel, near Rugby, regarding the death of a past pupil there on the 18th January 1906. 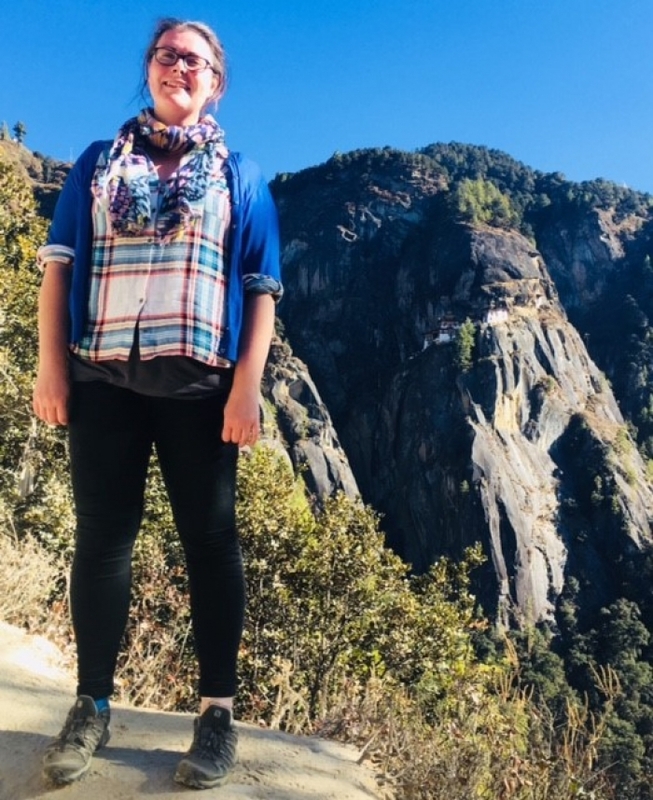 Having spent Christmas with her family in France, Lillie Rochaid was travelling alone on the 2:45pm train from Euston to start a new term at St Mary’s Priory. When the train arrived Rugby, the platform inspector was surprised to spot a carriage door hanging open. 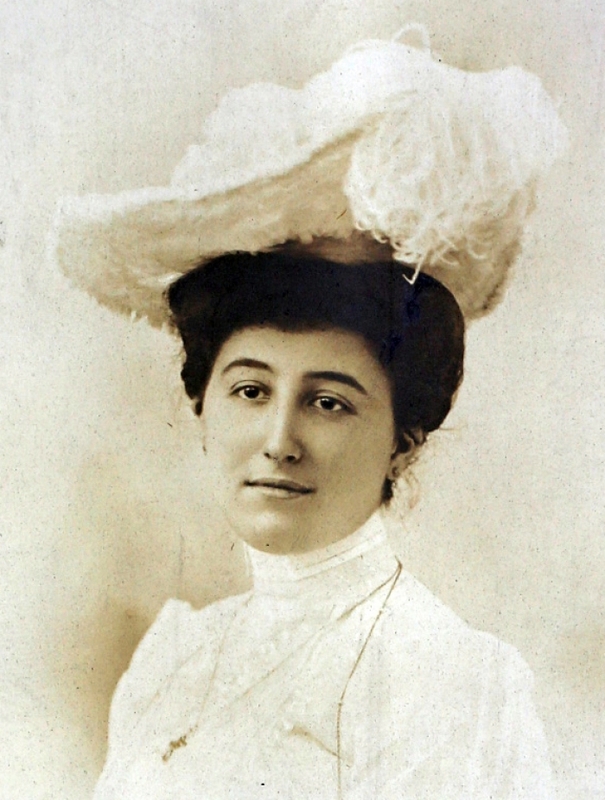 Lillie’s body was found shortly after in Crick Tunnel. It appears that she fell from the train and was then dragged along the tunnel. Whilst some stories ran in the national papers suggesting that there may have been foul play involved, it was more likely simply a tragic accident.